'LMR Every Saturday Tournament Announcement': Congratulations to Eusebio Folgosa for winning our "Every Saturday One Fish Tournament". The first place prize was a $300.00 Gift Certificate for weighing in the largest Wahoo at 48 LBS. If you're not familiar; this Friday evening we will announce the tournament fish online and on VHF 72 Saturday morning. We look forward to seeing you in the shop! 'LMR Every Saturday Tournament Announcement': The tournament fish for tomorrow is Wahoo! If you’re not familiar: 'Weigh your largest Wahoo tomorrow before 7 P.M. at LMR Tackle. Because our tournament has rolled over for the second time, this means the prize is a $300.00 Gift Certificate for First Place & $25.00 Gift Certificate for Second! Winners will be called and posted on Monday. Have a great weekend and good luck anglers! • LMR Report • Weak passing front. Bottom fishing has been good. Look for mutton’s and grouper around the local wrecks reefs. There should also be some sailfish on the move. Keep an eye out for birds or showering ballyhoo in the morning and you find the fish. 'LMR Every Saturday Tournament Announcement:' Not a single Swordfish was weighed in last weekends 'LMR Every Saturday One Fish Tournament'. Our first place prize has now rolled over for the second time and this Saturday's First Place Prize will be a $300.00 Gift Certificate. Stay tuned Friday evening and VHF 72 Saturday morning for the announcement of our next tournament fish. We look forward to seeing you in the tackle shop! 'LMR Every Saturday Tournament Announcement': The tournament fish for tomorrow is any legal Swordfish! Due to the holiday, the fish needs to be called in advance in case we close early. 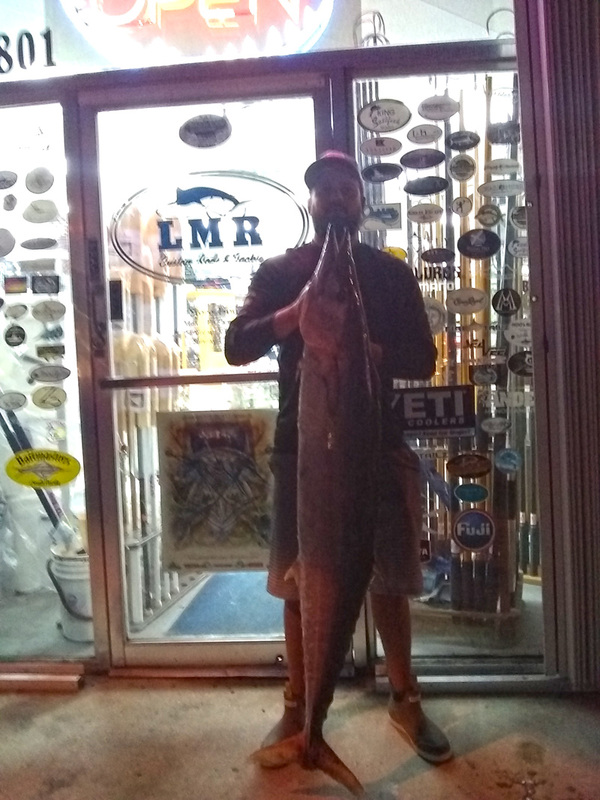 If your not familiar: 'Weigh your largest legal Swordfish at LMR Tackle. Our tournament was not won last weekend, which means the first place prize has doubled to a $200.00 Gift Certificate & $25.00 Gift Certificate for Second! Winners will be called and posted on Monday. Good Luck Anglers! We look forward to seeing you in the shop! • LMR Report • Bottom fishing has been good following the latest cold front. Look for mutton’s and grouper around the local wrecks reefs. There should also be some sailfish on the move. Keep an eye out for birds or showering ballyhoo in the morning and you find the fish. 'LMR Every Saturday Tournament Announcement:' Not a single Black Grouper was weighed in last weekends 'LMR Every Saturday One Fish Tournament'. Our first place prize has now rolled over and this Saturday's First Place Prize will be a $200.00 Gift Certificate. Stay tuned to Facebook Friday evening and VHF 72 Saturday morning for the announcement of our next tournament fish. We look forward to seeing you in the tackle shop! 'LMR Every Saturday Tournament Announcement': The tournament fish for tomorrow is Black Grouper! If you’re not familiar: 'Weigh your largest Black Grouper tomorrow before 7 P.M. at LMR Tackle. Because our tournament was won last weekend, this means the prize has reset to a $100.00 Gift Certificate for First Place & $25.00 Gift Certificate for Second! Winners will be called and posted on Monday. Have a great weekend and good luck anglers! • LMR Local Report • Bottom fishing has been good following the latest cold front. Look for mutton’s and grouper around the local wrecks reefs. There should also be some sailfish on the move. Keep an eye out for birds or showering ballyhoo in the morning and you find the fish. 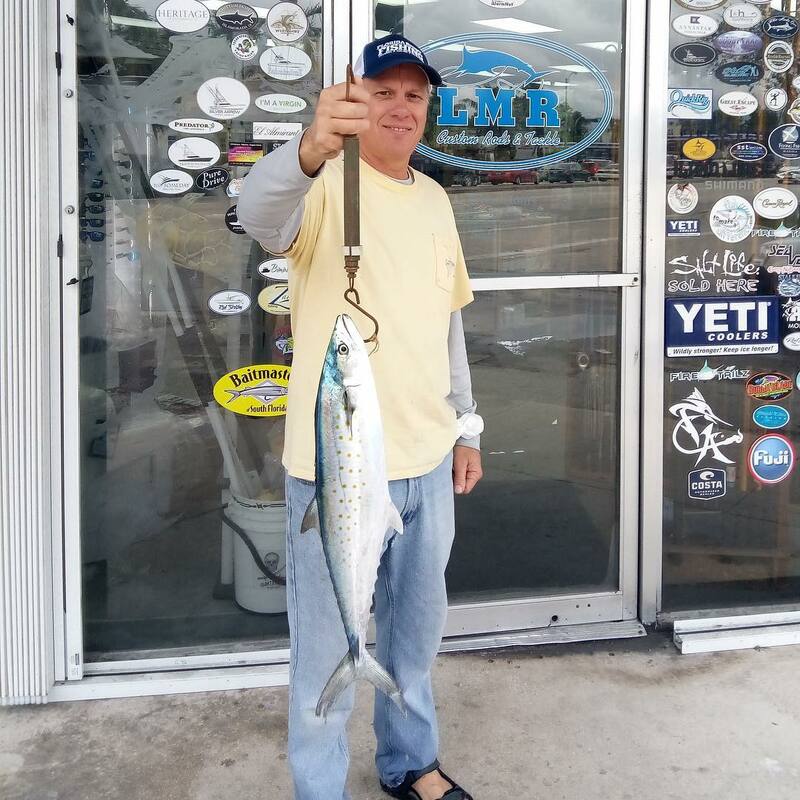 'LMR Every Saturday Tournament Announcement': Congratulations to Jim Miller for winning our "Every Saturday One Fish Tournament". The first place prize was a $100.00 Gift Certificate for weighing in the largest Spanish Mack at 2.5 LBS. If you're not familiar; this Friday evening we will announce the tournament fish online and on VHF 72 Saturday morning. We look forward to seeing you in the shop! 'LMR Every Saturday Tournament Announcement': Congratulations to Jim Miller for winning our "Every Saturday One Fish Tournament". The first place prize was a $100.00 Gift Certificate for weighing in the largest Cero Mack at 2 LBS. If you're not familiar; this Friday evening we will announce the tournament fish online and on VHF 72 Saturday morning. We look forward to seeing you in the shop! 'LMR Every Saturday Tournament Announcement': The tournament fish for tomorrow is Cero Mackerel! If you’re not familiar: 'Weigh your largest legal Cero Mackerel tomorrow before 7 P.M. at LMR Tackle. Because our tournament was won last weekend, this means the prize has reset to a $100.00 Gift Certificate for First Place & $25.00 Gift Certificate for Second! Winners will be called and posted on Monday. Have a great weekend and good luck anglers! • LMR Local Report • Pretty good mixed bag all week. Should continue with a few more Sailfish with N.E. wind. Cooler temps - few Wahoo, Mahi, Tuna, Kings all 150’-400’. Inshore - switch to shrimp - should get a run on full moon. 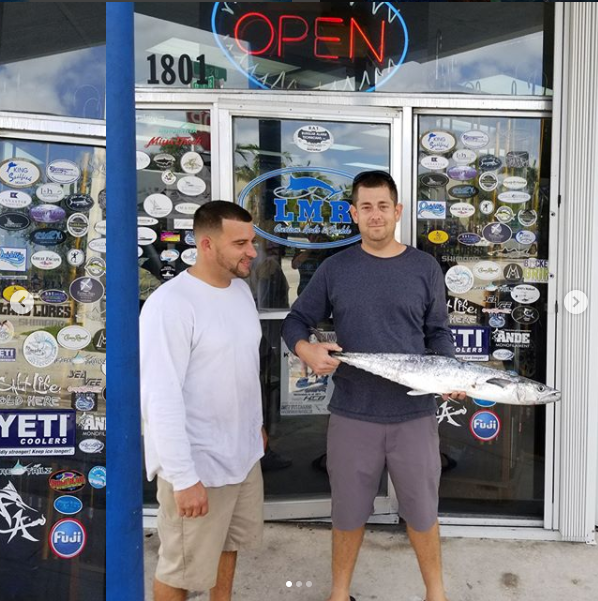 'LMR Every Saturday Tournament Announcement': Congratulations to Vinny Cavo for winning our "Every Saturday One Fish Tournament". His prize was a $300.00 Gift Certificate for weighing in the largest Mutton at 2.5 lbs. If you're not familiar; this Friday evening we will announce the tournament fish online and on VHF 72 Saturday morning. We look forward to seeing you in the shop! 'LMR Every Saturday Tournament Announcement': The tournament fish for tomorrow is any legal fish! If you're not familiar: 'Weigh your largest legal fish tomorrow before 7 P.M. at LMR Tackle. Because our tournament has rolled over for the second time, this means the prize has tripled to a $300.00 Gift Certificate for First Place & $25.00 Gift Certificate for Second! Winners will be called and posted on Monday. Have a great weekend and good luck anglers! • LMR Local Report • Wind quits this weekend for a change! Pretty good Mahi bite 500’ or so. Very good bottom fishing & wreck fishing for Grouper. Few Wahoo & Kings on reef. Bahamas Wahoo bite solid. Inshore mullet run slowing and shrimp will start soon. Worth using shrimp & Troll rite. 'LMR Every Saturday Tournament Announcement:' Not a single Black Grouper weighed in last weekends 'LMR Every Saturday One Fish Tournament'. Our first place prize has now rolled over for the second time and this Saturday's First Place Prize will be a $300.00 Gift Certificate. Stay tuned Friday evening and VHF 72 Saturday morning for the announcement of our next tournament fish. We look forward to seeing you in the tackle shop! 'LMR Every Saturday Tournament Announcement': The tournament fish for tomorrow is Black Grouper! If you’re not familiar: 'Weigh your largest Black Grouper tomorrow before 7 P.M. at LMR Tackle. Because our tournament was not won last weekend, this means the prize has doubled to a $200.00 Gift Certificate for First Place & $25.00 Gift Certificate for Second! Winners will be called and posted on Monday. Have a great weekend and good luck anglers! • LMR Local Report • Wind quits this weekend for a change! Pretty good Mahi bite 500’ or so. Very good bottom fishing & wreck fishing for Grouper. Few Wahoo & Kings on reef. Bahamas Wahoo bite solid. Inshore mullet run slowing and shrimp will start soon. Worth using shrimp & Troll rite. 'LMR Every Saturday Tournament Announcement:' Not a single Cobia was weighed in last weekends 'LMR Every Saturday One Fish Tournament'. Our first place prize has now rolled over and this Saturday's First Place Prize will be a $200.00 Gift Certificate. Stay tuned to Facebook Friday evening and VHF 72 Saturday morning for the announcement of our next tournament fish. We look forward to seeing you in the tackle shop! 'LMR Every Saturday Tournament Announcement': The tournament fish for tomorrow is Cobia! If your not familiar: 'Weigh your largest legal Cobia before 7 P.M. at LMR Tackle. Because our tournament was won last weekend, this means the prize has reset to a $100.00 Gift Certificate for First Place & $25.00 Gift Certificate for Second! Winners will be called and posted on Monday. Good Luck Anglers! • LMR Local Report • North east winds will be picking up throughout the day. Look for Sailfish, Kings, and Wahoo. Live bait and or flying the kite. Inshore the Snook and Tarpon are still holding in the inlets and around the bridges. 'LMR Every Saturday Tournament Announcement': Congratulations to Daniel Sisko for winning our "Every Saturday One Fish Tournament". The first place prize was a $100.00 Gift Certificate for weighing in the largest Kingfish at 13 LBS. Second place $25.00 Gift Certificate went to Daniel for his 8-1/2 LB. Kingfish. If you're not familiar; this Friday evening we will announce the tournament fish online and on VHF 72 Saturday morning. We look forward to seeing you in the shop! 'LMR Every Saturday Tournament Announcement': The tournament fish for tomorrow is Kingfish! 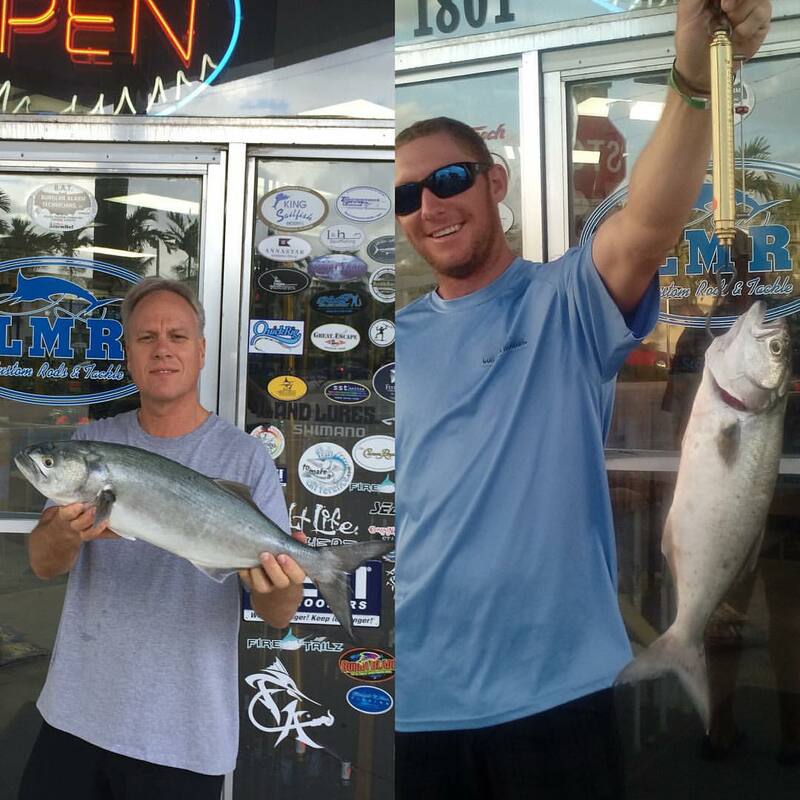 If your not familiar: 'Weigh your largest legal Kingfish before 7 P.M. at LMR Tackle. Because our tournament was won last weekend, this means the prize has reset to a $100.00 Gift Certificate for First Place & $25.00 Gift Certificate for Second! Winners will be called and posted on Monday. Good Luck Anglers! • LMR Local Report • Consistent Kingfish bite from third reef out to 150’. Sailfish have been moving in 100’-140’. Scattered Mahi from 350’-750’. 'LMR Every Saturday Tournament Announcement': Congratulations to Mac Herman for winning our "Every Saturday One Fish Tournament". The first place prize was a $200.00 Gift Certificate for weighing in the largest Snook at 11 LBS. If you're not familiar; this Friday evening we will announce the tournament fish online and on VHF 72 Saturday morning. We look forward to seeing you in the shop! 'LMR Every Saturday Tournament Announcement': The tournament fish for tomorrow is Snook! If you're not familiar: 'Weigh in your largest legal Snook tomorrow before 7 P.M. at LMR Tackle. Because our tournament has rolled over, this means the prize is a $200.00 Gift Certificate for First Place & $25.00 Gift Certificate for Second! Winners will be called and posted on Monday. Have a great weekend and good luck anglers! • LMR Local Report • The first real cool front has arrived and now it is going to be windy & rainy. But the approaching low will have the bite on. Good Sailfish bite this week. Mullet run peaking right now also. Best bet try very early and make the rain send you home! ''LMR Every Saturday Tournament Announcement:' Not a single Mahi was weighed in last weekends 'LMR Every Saturday One Fish Tournament'. Our first place prize has now rolled over and this Saturday's First Place Prize will be a $200.00 Gift Certificate. Stay tuned to Facebook Friday evening and VHF 72 Saturday morning for the announcement of our next tournament fish. We look forward to seeing you in the tackle shop! 'LMR Every Saturday Tournament Announcement': The tournament fish for tomorrow is Mahi Mahi! If you're not familiar: 'Weigh your largest legal Mahi tomorrow before 7 P.M. at LMR Tackle. Because our tournament was won last weekend, this means the prize has reset to a $100.00 Gift Certificate for First Place & $25.00 Gift Certificate for Second! Winners will be called and posted on Monday. • LMR Local Report • Sailfish showing up in depths of 120’-150’ of water. Best chance at bigger sails have been live baiting. Smaller Sails on the troll. Mahi have been scattered in depths 150’-900’. 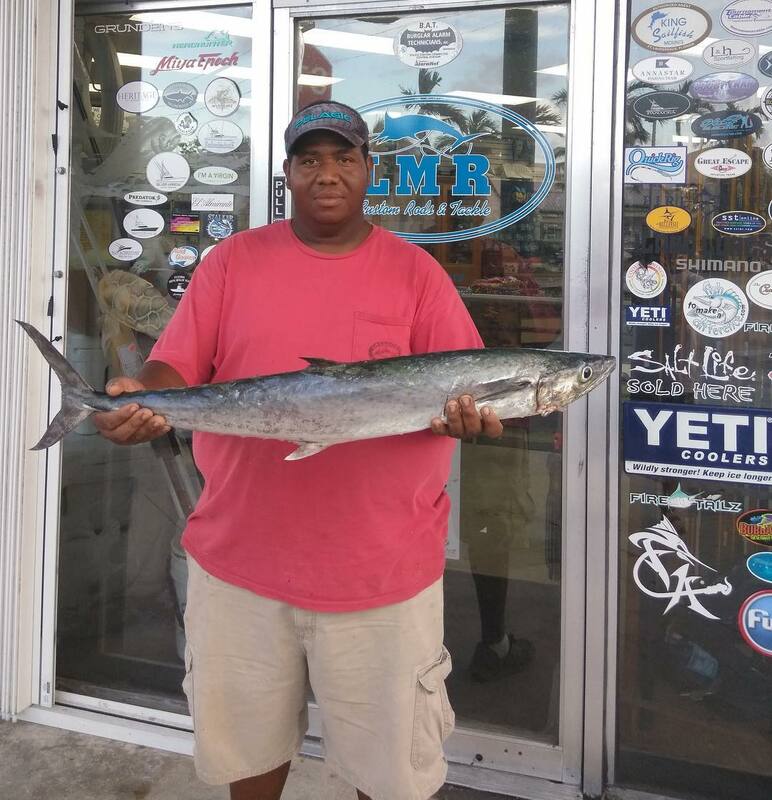 Bigger mahi 14 miles off..
'LMR Every Saturday Tournament Announcement': Congratulations to Joudy James for winning our "Every Saturday One Fish Tournament". The first place prize was a $100.00 Gift Certificate for weighing in the largest Kingfish at 11 LBS. If you're not familiar; this Friday evening we will announce the tournament fish online and on VHF 72 Saturday morning. We look forward to seeing you in the shop! 'LMR Every Saturday Tournament Announcement': The tournament fish for tomorrow is Kingfish! If your not familiar: 'Weigh your largest legal Kingfish before 7 P.M. at LMR Tackle. Because our tournament was won last weekend, this means the prize has reset to a $100.00 Gift Certificate for First Place & $25.00 Gift Certificate for Second! Winners will be called and posted on Monday. Good Luck Anglers! • LMR Local Report • Now that Hurricane clean-up is over.... Go Fish! Mullet run in full swing, keep trying techniques. It will be different all the time - even a Flair Hawk works (hint). On the reef Kings are biting and a few Wahoo - wrecks also good. Yellowtail biting well also. Bahamas is all about Wahoo and they are biting well! 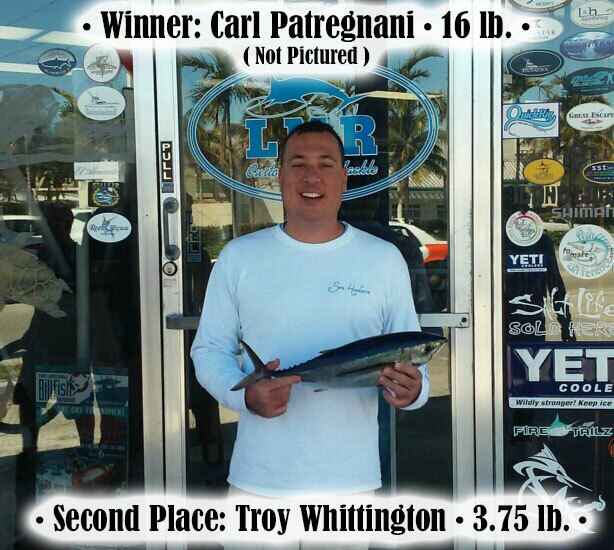 'LMR Every Saturday Tournament Announcement': Congratulations to Will Fasullo for winning our "Every Saturday One Fish Tournament". The first place prize was a $300.00 Gift Certificate for weighing in the largest Snook at 10 LBS. Second place went to Mason Selvanik for weighing in his 9 LB. Snook. If you're not familiar; this Friday evening we will announce the tournament fish online and on VHF 72 Saturday morning. We look forward to seeing you in the shop! 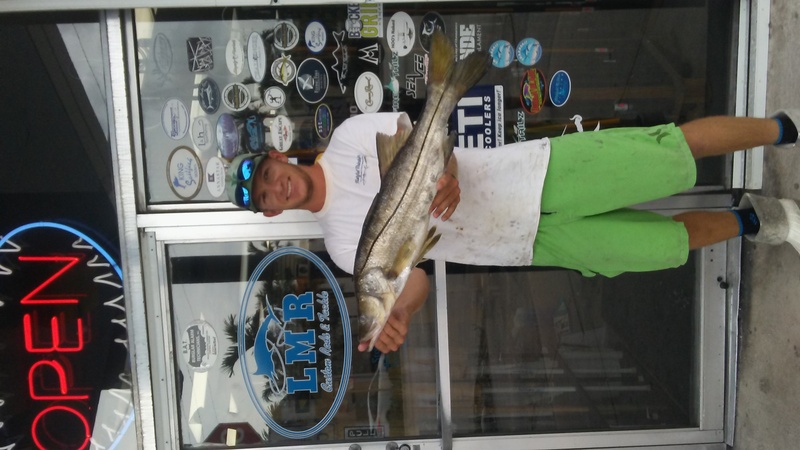 'LMR Every Saturday Tournament Announcement': The tournament fish for tomorrow is Snook! If your not familiar: 'Weigh in your heaviest legal Snook tomorrow before 7 P.M. at LMR Tackle. Because our tournament has rolled over for the second time, this means the prize is a $300.00 Gift Certificate for First Place & $25.00 Gift Certificate for Second! Winners will be called and posted on Monday. Have a great weekend and good luck anglers! • LMR Local Report • Less mullet around with the winds but look for on the beaches and in the inlets being chased by Tarpon and Snook. Offshore Dolphin still being caught around weed lines and debris left form hurricanes. 'LMR Every Saturday Tournament Announcement:' Not a single legal Mutton Snapper was weighed in last weekends 'LMR Every Saturday One Fish Tournament'. Our first place prize has now rolled over for the second time and this Saturday's First Place Prize will be a $300.00 Gift Certificate. Stay tuned to Facebook Friday evening and VHF 72 Saturday morning for the announcement of our next tournament fish. We look forward to seeing you in the tackle shop! 'LMR Every Saturday Tournament Announcement': The tournament fish for tomorrow is any legal Mutton Snapper! If you’re not familiar: 'Weigh your largest legal Mutton Snapper before 7 P.M. at LMR Tackle. Our tournament was not won last weekend, which means the first place prize has doubled to a $200.00 Gift Certificate & $25.00 Gift Certificate for Second! Winners will be called and posted on Monday. Good Luck Anglers! We look forward to seeing you in the shop! • LMR Local Report • Look for pods of mullet on the beaches and in the inlets being chased by Tarpon and Snook. Offshore Dolphin still being caught around weed lines and debris left form hurricanes. 'LMR Every Saturday Tournament Announcement': The tournament fish for tomorrow is Mahi Mahi! If you’re not familiar: 'Weigh your largest Mahi tomorrow before 7 P.M. at LMR Tackle. Because our tournament was won last weekend, this means the prize has reset to a $100.00 Gift Certificate for First Place & $25.00 Gift Certificate for Second! Winners will be called and posted on Monday. Have a great weekend and good luck anglers! • LMR Local Report • Plenty of Mahi around from 400’ - 1000’ look for weed patches and lines. Also watch for birds. Inshore look for Snook along the beaches and piers in the morning and afternoon. 'LMR Every Saturday Tournament Announcement': Congratulations to Brooke Crist (@brookiecrist) for winning our "Every Saturday One Fish Tournament". The first place prize was a $100.00 Gift Certificate for weighing in the largest Mangrove Snapper at 2.6 LBS. If you're not familiar; this Friday evening we will announce the tournament fish online and on VHF 72 Saturday morning. We look forward to seeing you in the shop! 'LMR Every Saturday Tournament Announcement': The tournament fish for tomorrow is Mangrove Snapper! If your not familiar: 'Weigh your largest legal Mangrove Snapper tomorrow before 7 P.M. at LMR Tackle. Because our tournament was won last weekend, this means the prize has reset to a $100.00 Gift Certificate for First Place & $25.00 Gift Certificate for Second! Winners will be called and posted on Monday. Good Luck Anglers! • LMR Local Report • Mahi still around just a bit further off shore look for kings and bonitas inside on the reef. Inshore fish has been slow thanks to all the fresh water pushing out of the inlet. 'LMR Every Saturday Tournament Announcement': Congratulations to Laura Hudson for winning our "Every Saturday One Fish Tournament". The first place prize was a $100.00 Gift Certificate for weighing in the largest Wahoo at 23 LBS. If you're not familiar; this Friday evening we will announce the tournament fish online and on VHF 72 Saturday morning. We look forward to seeing you in the shop! Mahi spotty and mostly small. Kings and bonita rule the reef. Snapper bite is good. ‘LMR Every Saturday Tournament Announcement': Congratulations to Robinson Rodriguez for winning our "Every Saturday One Fish Tournament". His first place prize was a $200.00 Gift Certificate for weighing in the largest Kingfish at 22 LBS. Second place went to Cray Buresh for his 16 lb. Kingfish and he won a $25.00 Gift Certificate. If you're not familiar; this Friday evening we will announce the tournament fish online and on VHF 72 Saturday morning. We look forward to seeing you in the shop! 'LMR Every Saturday Tournament Announcement': The tournament fish for tomorrow is any legal Kingfish! If you’re not familiar: 'Weigh your largest legal Kingfish before 7 P.M. at LMR Tackle. Our tournament was not won last weekend, which means the first place prize has doubled to a $200.00 Gift Certificate & $25.00 Gift Certificate for Second! Winners will be called and posted on Monday. Good Luck Anglers! We look forward to seeing you in the shop! • LMR Local Report • Kingfish snapping on the troll in depths of 80’-150’. Solid Bonita bite mixed in with the kingfish. Blackfins out in cleaner water. Scattered reports of Dolphin. ‘LMR Every Saturday Tournament Announcement': The tournament fish for tomorrow is Mutton Snapper! If you’re not familiar: 'Weigh your largest Mutton Snapper tomorrow before 7 P.M. at LMR Tackle. Because our tournament was won last weekend, this means the prize has reset to a $100.00 Gift Certificate for First Place & $25.00 Gift Certificate for Second! Winners will be called and posted on Monday. Have a great weekend and good luck anglers! Fresh Sword baits this weekend for $20.00. • LMR Local Report • Mahi around but offshore scattered. Sword bite steady. Reef best bet - Snappers very good. Kings around but Bonito pretty thick now. Few Wahoo around on live bonito. Inshore - Still dumping Glades but Snook & Tarpon biting late night when a little cooler on high tide. 'LMR Every Saturday Tournament Announcement': Congratulations to Keith Binder for winning our "Every Saturday One Fish Tournament". The first place prize was a $400.00 Gift Certificate for weighing in the largest Cero Mackerel at 2. LBS. Second place went to Jim Miller for his 1.85 LB. Cero. If you're not familiar; this Friday evening we will announce the tournament fish online and on VHF 72 Saturday morning. We look forward to seeing you in the shop! 'LMR Every Saturday Tournament Announcement': The tournament fish for tomorrow is Cero Mackerel! If your not familiar: 'Weigh your largest Cero Mackerel tomorrow before 7 P.M. at LMR Tackle. Because our tournament has rolled over for the third time, this means the prize is a $400.00 Gift Certificate for First Place & $25.00 Gift Certificate for Second! Winners will be called and posted on Monday. Have a great weekend and good luck anglers! If you have fished with Sufix Tritanium, we are looking for any positive/negative feedback! Please let us know.. • LMR Local Report • Mahi around but offshore scattered. Sword bite steady. Reef best bet - Snappers very good. Kings around but Bonito pretty thick now. Few Wahoo around on live bonito. Inshore - Still dumping Glades but Snook & Tarpon biting late night when a little cooler on high tide. 'LMR Every Saturday Tournament Announcement:' Not a single Wahoo was weighed in last weekends 'LMR Every Saturday One Fish Tournament'. Our first place prize has now rolled over for the second time and this Saturday's First Place Prize will be a $300.00 Gift Certificate. Stay tuned to Facebook Friday evening and VHF 72 Saturday morning for the announcement of our next tournament fish. We look forward to seeing you in the tackle shop! 'LMR Every Saturday Tournament Announcement': The tournament fish for tomorrow is any legal wahoo! If your not familiar: 'Weigh your largest legal Wahoo before 7 P.M. at LMR Tackle. Our tournament was not won last weekend, which means the first place prize has doubled to a $200.00 Gift Certificate & $25.00 Gift Certificate for Second! Winners will be called and posted on Monday. Good Luck Anglers! We look forward to seeing you in the shop! • LMR Local Report • Same SE wind. Same pattern. Mahi a good bet 200 to Bimini. Bahamas Marlin bite peaking now. Local Snapper bite solid. Inshore slowed with Glades being drained out to sea. Kings, Bonitas, and a few Blackfins & Wahoos on reef also. 'LMR Every Saturday Tournament Announcement': The tournament fish for tomorrow is Wahoo! If you're not familiar: 'Weigh your largest legal Wahoo tomorrow before 7 P.M. at LMR Tackle. Because our tournament was won last weekend, this means the prize has reset to a $100.00 Gift Certificate for First Place & $25.00 Gift Certificate for Second! Winners will be called and posted on Monday. • LMR Local Report • Same SE wind. Same pattern. Mahi a good bet 200 to Bimini. Bahamas Marlin bite peaking now. Local Snapper bite solid. Inshore slowed with Glades being drained out to sea. Kings, Bonitas, and a few Blackfins & Wahoos on reef also. 'LMR Every Saturday Tournament Announcement:' Not a single Mutton Snapper was weighed in last weekends 'LMR Every Saturday One Fish Tournament'. Our first place prize has now rolled over and this Saturday's First Place Prize will be a $200.00 Gift Certificate. Stay tuned to Facebook Friday evening and VHF 72 Saturday morning for the announcement of our next tournament fish. We look forward to seeing you in the tackle shop! ‘LMR Every Saturday Tournament Announcement': The tournament fish for tomorrow is Mutton Snapper! If you’re not familiar: 'Weigh your largest Mutton Snapper tomorrow before 7 P.M. at LMR Tackle. Because our tournament was won last weekend, this means the prize has reset to a $100.00 Gift Certificate for First Place & $25.00 Gift Certificate for Second! Winners will be called and posted on Monday. Have a great weekend and good luck anglers! Chum by the case $35.00 • LMR Local Report • Dolphin bite still good, some shallow, some way out. Day Sword bite food, & night snapper peaking - New moon will help both. 'LMR Every Saturday Tournament Announcement': Congratulations to Jeff Andrews @jazzy420jeff for winning our "Every Saturday One Fish Tournament". The first place prize was a $100.00 Gift Certificate for weighing in the largest Mahi Mahi at 22 LBS. Second place went to Jubal Inman @jubalinman with a $25.00 Gift Certificate for his 8 LB Mahi. If you're not familiar; this Friday evening we will announce the tournament fish online and on VHF 72 Saturday morning. We look forward to seeing you in the shop! LMR Every Saturday Tournament Announcement': The tournament fish for tomorrow is Mahi Mahi! If you’re not familiar: 'Weigh your largest Mahi tomorrow before 7 P.M. at LMR Tackle. Because our tournament was won last weekend, this means the prize has reset to a $100.00 Gift Certificate for First Place & $25.00 Gift Certificate for Second! Winners will be called and posted on Monday. Have a great weekend and good luck anglers! Bionic Ballyhoo $8.00 for 3 pack double hook on wire • LMR Local Report • Forget the rain, go Mahi fishing! 300’ on out but not too far, nice wave of fish moving through right now. Snapper bite good as well - good north current Cobia moving north try a wreck or two 150-250’. Kings biting very well but Bonita getting thick strong current has made Sword Fishing a challenge. 'LMR Every Saturday Tournament Announcement': Congratulations to Duran Holycross for winning our "Every Saturday One Fish Tournament". His prize is a $500.00 Gift Certificate for weighing in the largest Blackfin Tuna at 13 lbs. If you're not familiar every Saturday we host a one fish tournament. This Friday evening we will announce the tournament fish online and on VHF 72 Saturday morning. We look forward to seeing you in the shop! 'LMR Every Saturday Tournament Announcement': The tournament fish for tomorrow is Blackfin Tuna! If your not familiar: 'Weigh your largest Blackfin before 7 P.M. at LMR Tackle. Because our tournament has rolled over for the fourth time, the prize is a $500.00 Gift Certificate for First Place & $25.00 Gift Certificate for Second! Winners will be called and posted on Monday.' Good Luck Anglers! • LMR Local Report • Due to all the rain the water has been really dirty. Kingfish have been from 120-150ft. Bonita's mixed with Blackfin's from 90-200ft. Some Blackfish scattered out deeper with scattered Mahi in 600-900ft. 'LMR Every Saturday Tournament Announcement:' Not a single Snowy Grouper was weighed in last weekends 'LMR Every Saturday One Fish Tournament'. Our first place prize has now rolled over for the fourth time and Saturday's First Place Prize will be a $500.00 Gift Certificate. If you're not familiar, we will post the tournament fish Friday evening on our website, Facebook & Instagram. As well as announce on VHF 72 Saturday morning. We look forward to seeing you in the shop! 'LMR Every Saturday Tournament Announcement': The tournament fish for tomorrow is Snowy Grouper! If your not familiar: 'Weigh your largest Snowy Grouper tomorrow before 7 P.M. at LMR Tackle. Because our tournament has rolled over for the third time, this means the prize is a $400.00 Gift Certificate for First Place & $25.00 Gift Certificate for Second! Winners will be called and posted on Monday. Have a great weekend and good luck anglers! • LMR Local Report • Rain front moving through this weekend but recent and continuing S.E. breeze has fishing pretty good. Kings, Blackfins & Bonita good on reef. Mahi scattered but around. Snapper fishing good & full moon next week should help. Mutton spawn will occur on this moon for sure. Inshore Snook & Tarpon still good with lack of rain. Mullet still available also. 'LMR Every Saturday Tournament Announcement': The tournament fish for tomorrow is Red Grouper! If you’re not familiar: 'Weigh your largest Red Grouper tomorrow before 7 P.M. at LMR Tackle. Because our tournament has rolled over for the second time, this means the prize has tripled to a $300.00 Gift Certificate for First Place & $25.00 Gift Certificate for Second! Winners will be called and posted on Monday. Have a great weekend and good luck anglers! • LMR Local Report • It’s been a slow week of fishing due to the past few days of west winds. The wind should start to turn out of the north east which should improve the bite. Look for Kingfish in tight to the reef. Blackfins should should up in the early morning on live bait. A few Cobia have been caught over the wrecks. 'LMR Every Saturday Tournament Announcement:' Not a single Blackfin Tuna was weighed in last weekends 'LMR Every Saturday One Fish Tournament'. Our first place prize has now rolled over for the second time and this Saturday's First Place Prize will be a $300.00 Gift Certificate. Stay tuned to Facebook Friday evening and VHF 72 Saturday morning for the announcement of our next tournament fish. We look forward to seeing you in the tackle shop! 'LMR Every Saturday Tournament Announcement': The tournament fish for tomorrow is any legal Blackfin Tuna! If your not familiar: 'Weigh your largest legal Blackfin Tuna before 7 P.M. at LMR Tackle. Our tournament was not won last weekend, which means the first place prize has doubled to a $200.00 Gift Certificate & $25.00 Gift Certificate for Second! Winners will be called and posted on Monday. Good Luck Anglers! We look forward to seeing you in the shop! • LMR Report • Brisk onshore winds will have the fish close. Mahi, Blackfins will be biting. Fly the kite and add Sailfish & Kings. 80’-200’ good start - little rough for the bottom fish though - Few Cobia moving through as well. 'LMR Every Saturday Tournament Announcement': The tournament fish for tomorrow is Cobia! If you’re not familiar: 'Weigh your largest Cobia tomorrow before 7 P.M. at LMR Tackle. Because our tournament was won last weekend, this means the prize has reset to a $100.00 Gift Certificate for First Place & $25.00 Gift Certificate for Second! Winners will be called and posted on Monday. Have a great weekend and good luck anglers! • LMR Local Report • Now that the full moon is fading, fishing will improve. Mahi bite should resume, Kings on Reef with Bonita and some nicer Blackfin Tuna. Snapper bite is good, Yellowtail & Mangroves on reef - Mutton deeper. Snook & Tarpon is very good on live mullet mostly. 'LMR Every Saturday Tournament Announcement': Congratulations to Ryan Freyre @ryanfreyre for winning our "Every Saturday One Fish Tournament". 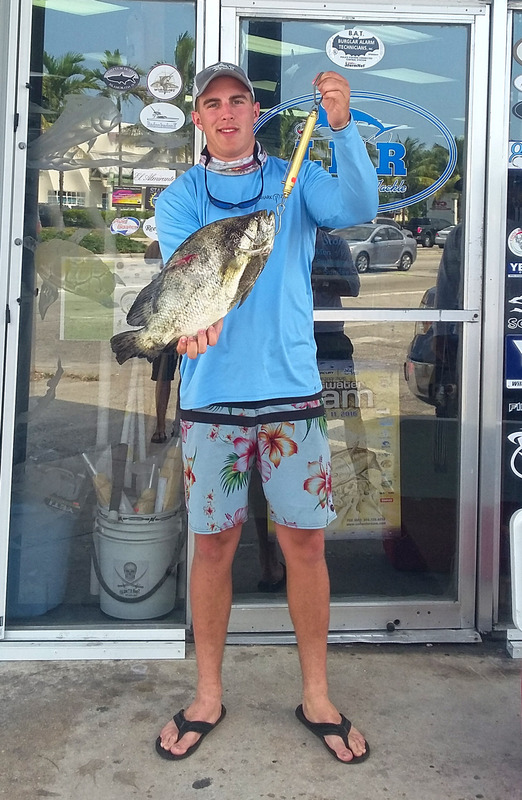 The first place prize was a $100.00 Gift Certificate for weighing in the largest Black Grouper at 16 LBS. If you're not familiar; this Friday evening we will announce the tournament fish online and on VHF 72 Saturday morning. We look forward to seeing you in the shop! 'LMR Every Saturday Tournament Announcement': The tournament fish for tomorrow is Grouper: Black, Gag, Red, Scamp only! If you’re not familiar: 'Weigh your largest Black, Gag, Red, Scamp Grouper tomorrow before 7 P.M. at LMR Tackle. Because our tournament was won last weekend, this means the prize has reset to a $100.00 Gift Certificate for First Place & $25.00 Gift Certificate for Second! Winners will be called and posted on Monday. Have a great weekend and good luck anglers! 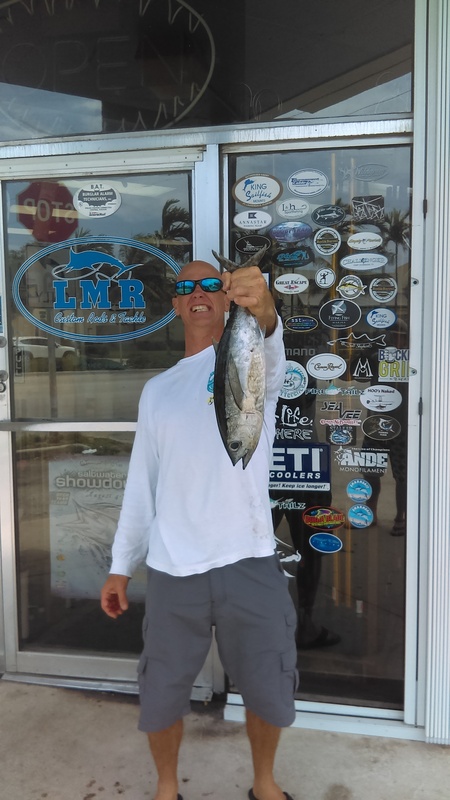 • LMR Local Report • Dolphin bite was solid, now not so much! Still worth a look Sunday w/ N.E. Wind. Kings good on reef with some Sailfish with a West wind Saturday, try the bottom fishing. A.J’s biting good and a good way to have a novice catch a biggish! Snook & Tarpon will bite good next week on the full moon! Just remember to not try it Wed. (Full moon proper). 'LMR Every Saturday Tournament Announcement': Congratulations to Nick Patregnani @nickyp__ee for winning our "Every Saturday One Fish Tournament". The first place prize was a $100.00 Gift Certificate for weighing in the largest Mahi Mahi at 22 LBS. 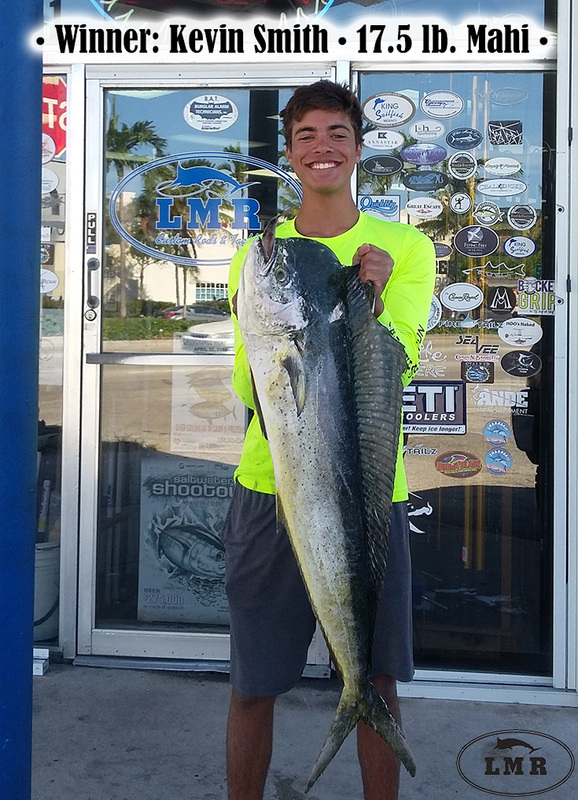 Second place went to Alex Leebow @thelazymarlin with a $25.00 Gift Certificate for his 19 LB Mahi. If you're not familiar; this Friday evening we will announce the tournament fish online and on VHF 72 Saturday morning. We look forward to seeing you in the shop! 'LMR Every Saturday Tournament Announcement': The tournament fish for tomorrow is Mahi Mahi! If you’re not familiar: 'Weigh your largest Mahi tomorrow before 7 P.M. at LMR Tackle. Because our tournament was won last weekend, this means the prize has reset to a $100.00 Gift Certificate for First Place & $25.00 Gift Certificate for Second! Winners will be called and posted on Monday. Have a great weekend and good luck anglers! • LMR Local Report • Windy weekend but... Mahi bite good 800’ out - nice fish too. Kings on reef 90’ to 150’ - nice ones as well. Snapper bite good - Good north current lately. Spring Mullet run going on as well - Snook, Tarpon & big tax spring fishing finally here! LMR Every Saturday Tournament Announcement': Congratulations to Chase Moss on Georgia Boy for winning our "Every Saturday One Fish Tournament". His prize is a $500.00 Gift Certificate for weighing in the largest Mahi Mahi at 11.5 lbs. Second place went to Zach Markle with his 8# Mahi. If you're not familiar; this Friday evening we will announce the tournament fish online and on VHF 72 Saturday morning. We look forward to seeing you in the shop! 'LMR Every Saturday Tournament Announcement': The tournament fish for tomorrow is Mahi Mahi! 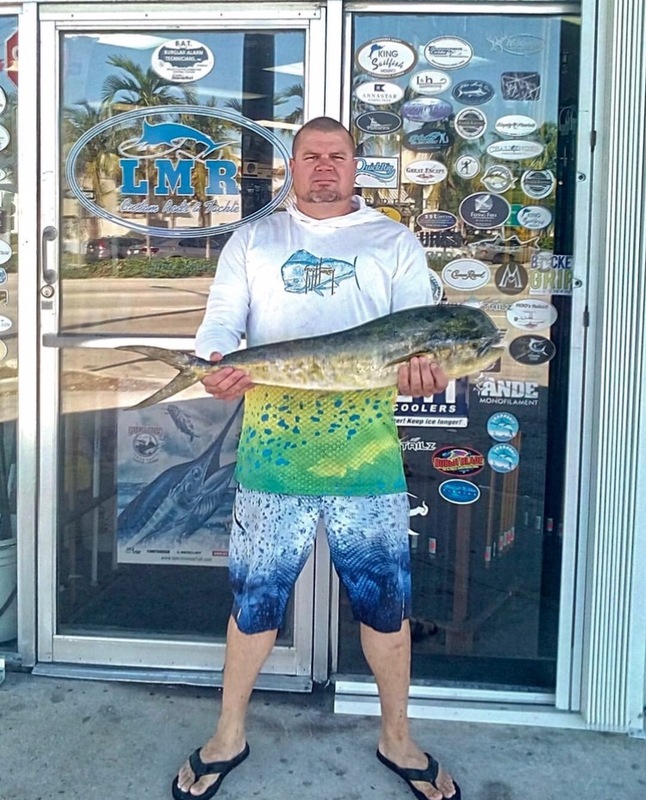 If your not familiar: 'Weigh your largest Mahi before 7 P.M. at LMR Tackle. Because our tournament has rolled over for the fourth time, the prize is a $500.00 Gift Certificate for First Place & $25.00 Gift Certificate for Second! Winners will be called and posted on Monday.' Good Luck Anglers! • LMR Local Report • Sailfish should be on the move. Look for them in 90-175' of water. Mahi Moved in with a mix of large and small fish. Blackfins still solid early in the mornings and late afternoon. 'LMR Every Saturday Tournament Announcement:' Not a single Wahoo was weighed in last weekends 'LMR Every Saturday One Fish Tournament'. Our first place prize has now rolled over for the fourth time and Saturday's First Place Prize will be a $500.00 Gift Certificate. If you're not familiar, we will post the tournament fish Friday evening on our website, Facebook & Instagram. As well as announce on VHF 72 Saturday morning. We look forward to seeing you in the shop! 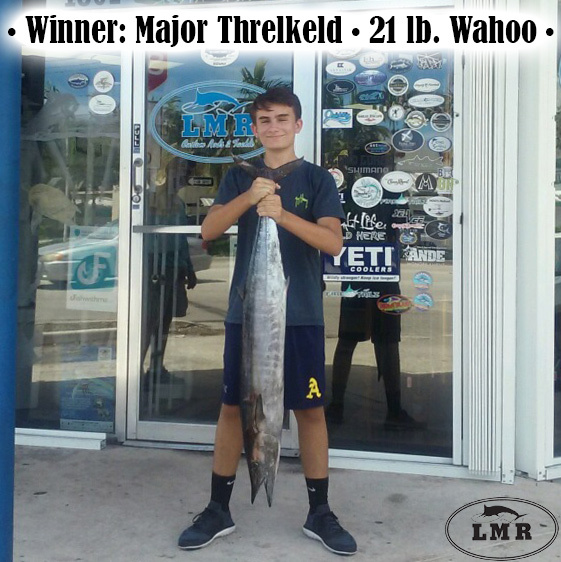 LMR Every Saturday Tournament Announcement': The tournament fish for tomorrow is Wahoo! If your not familiar: 'Weigh your largest Wahoo tomorrow before 7 P.M. at LMR Tackle. Because our tournament has rolled over for the third time, this means the prize is a $400.00 Gift Certificate for First Place & $25.00 Gift Certificate for Second! Winners will be called and posted on Monday. Have a great weekend and good luck anglers! • LMR Local Report • Due to the incoming cold front sailfish should be on the move. Look for them in 90-175' of water. Blackfins have still been solid early in the mornings and late afternoon. 'LMR Every Saturday Tournament Announcement': The tournament fish for tomorrow is Mahi Mahi! If your not familiar: 'Weigh your largest Mahi tomorrow before 7 P.M. at LMR Tackle. Because our tournament has rolled over for the second time, this means the prize has tripled to a $300.00 Gift Certificate for First Place & $25.00 Gift Certificate for Second! Winners will be called and posted on Monday. Have a great weekend and good luck anglers! • LMR Local Report • Blackfins early in the morning and late afternoon 200-400’. Seeing a lot of Mahi at 19” and it legal fish is 20”. Measure twice. Scattered fish and you will have to work. 'LMR Every Saturday Tournament Announcement:' Not a single Mutton Snapper was weighed in last weekends 'LMR Every Saturday One Fish Tournament'. Our first place prize has now rolled over for the second time and this Saturday's First Place Prize will be a $300.00 Gift Certificate. Stay tuned to Facebook Friday evening and VHF 72 Saturday morning for the announcement of our next tournament fish. We look forward to seeing you in the tackle shop! 'LMR Every Saturday Tournament Announcement': The tournament fish for tomorrow is any legal Mutton Snapper! 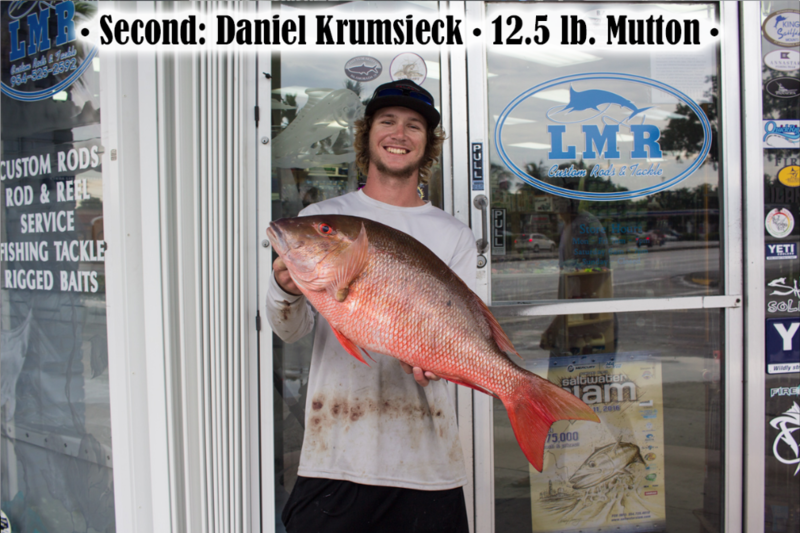 If your not familiar: 'Weigh your largest legal Mutton Snapper before 7 P.M. at LMR Tackle. Our tournament was not won last weekend, which means the first place prize has doubled to a $200.00 Gift Certificate & $25.00 Gift Certificate for Second! Winners will be called and posted on Monday. Good Luck Anglers! We look forward to seeing you in the shop! • LMR Report • When the wind finally lays down the bottom fishing will be great. Look for an early Snapper bite. 'LMR Every Saturday Tournament Announcement:' Not a single Yellowfin Tuna was weighed in last weekends 'LMR Every Saturday One Fish Tournament'. Our first place prize has now rolled over and this Saturday's First Place Prize will be a $200.00 Gift Certificate. Stay tuned to Facebook Friday evening and VHF 72 Saturday morning for the announcement of our next tournament fish. We look forward to seeing you in the tackle shop! 'LMR Every Saturday Tournament Announcement': The tournament fish for tomorrow is Yellowfin Tuna! If your not familiar: 'Weigh your largest Yellowfin Tuna before 7 P.M. at LMR Tackle. Because our tournament was won last weekend, the prize has reset to a $100.00 Gift Certificate for First Place & $25.00 Gift Certificate for Second! Winners will be called and posted on Monday. Good Luck Anglers! • LMR Report • Fishing has been great all week. Mixed bag dolphin, tuna, sharks, and wahoo have all been caught this week fishing is finally getting good. 'LMR Every Saturday Tournament Announcement': Congratulations to Jason Relyea for winning our "Every Saturday One Fish Tournament". 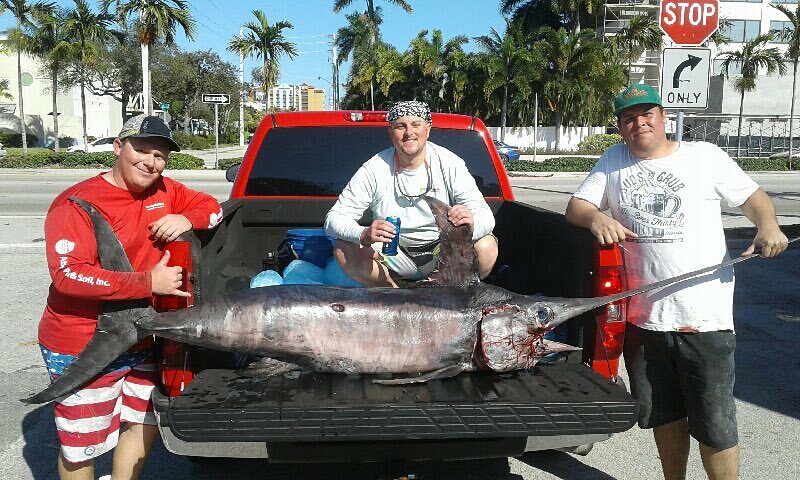 The first place prize was a $200.00 Gift Certificate for weighing in the largest Swordfish with a short length of 72-1/2". If you're not familiar; this Friday evening we will announce the tournament fish online and on VHF 72 Saturday morning. We look forward to seeing you in the shop! 'LMR Every Saturday Tournament Announcement': The tournament fish for tomorrow is any legal Swordfish! If your not familiar: 'Weigh your largest legal Swordfish before 7 P.M. at LMR Tackle. Our tournament was not won last weekend, which means the first place prize has doubled to a $200.00 Gift Certificate & $25.00 Gift Certificate for Second! Winners will be called and posted on Monday. Good Luck Anglers! We look forward to seeing you in the shop! • LMR Report • Fishing has been great all week. Mixed bag dolphin, tuna, sharks, and wahoo have all been caught this week fishing is finally getting good. 'LMR Every Saturday Tournament' Announcement: The tournament fish for tomorrow is Golden Tilefish! If your not familiar: 'Weigh your largest Golden Tilefish before 7 P.M. at Lmr Tackle. Because our tournament has rolled over for the second time, tomorrow's prize is a $300.00 Gift Certificate for First Place & $25.00 Gift Certificate for Second! Monday, winners will be called and posted on Facebook & Instagram.' Good Luck Anglers, we look forward to seeing you in the shop! 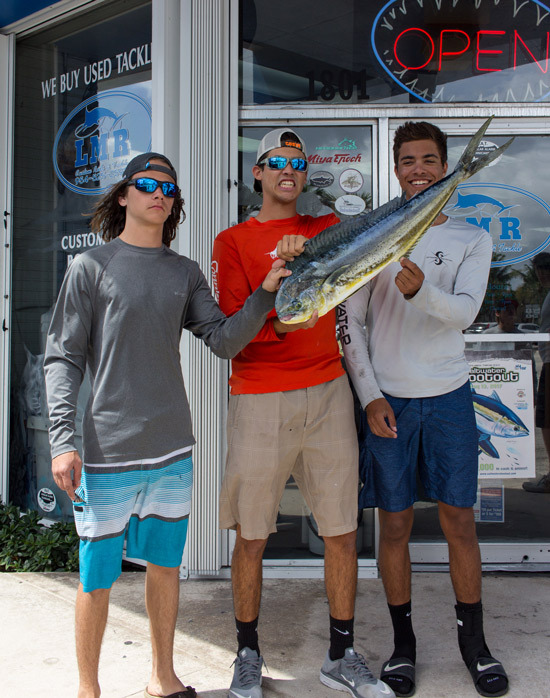 • LMR Local Report • Look for Kingfish and Wahoo on the reef between 65' and 135'. There has been a few Sailfish are around and look for Blackfins in the late afternoon. 'LMR Every Saturday Tournament Announcement:' Not a single Snowy Grouper was weighed in last weekends 'LMR Every Saturday One Fish Tournament'. Our first place prize has now rolled over for the second time and Saturday's First Place Prize will be a $300.00 Gift Certificate. We will post the tournament fish Friday evening on our website, Facebook & Instagram. Also announced on VHF 72 Saturday morning. We look forward to seeing you in the shop! 'LMR Every Saturday Tournament Announcement': The tournament fish for tomorrow is any legal Snowny Grouper! If your not familiar: 'Weigh your largest legal Snowy Grouper before 7 P.M. at LMR Tackle. Our tournament was not won last weekend, which means the first place prize has doubled to a $200.00 Gift Certificate & $25.00 Gift Certificate for Second! Winners will be called and posted on Monday. Good Luck Anglers! We look forward to seeing you in the shop! • LMR Report • Look for Kingfish and Wahoo on the reef between 65' and 135'. There has been a few Sailfish are around and look for Blackfins in the late afternoon. 'LMR Every Saturday Tournament Announcement:' Not a single Wahoo was weighed in last weekends 'LMR Every Saturday One Fish Tournament'. Our first place prize has now rolled over and this Saturday's First Place Prize will be a $200.00 Gift Certificate. Stay tuned to Facebook Friday evening and VHF 72 Saturday morning for the announcement of our next tournament fish. We look forward to seeing you in the tackle shop! 'LMR Every Saturday Tournament Announcement': The tournament fish for tomorrow is Wahoo! 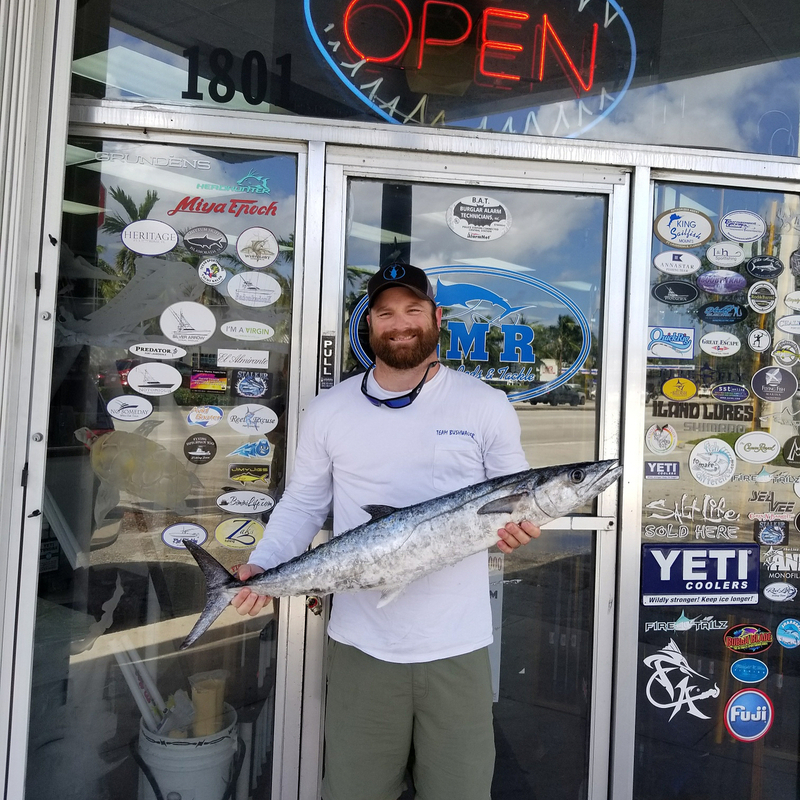 If your not familiar: 'Weigh your largest Wahoo before 7 P.M. at LMR Tackle. Because our tournament was won last weekend, the prize has reset to a $100.00 Gift Certificate for First Place & $25.00 Gift Certificate for Second! Winners will be called and posted on Monday. Good Luck Anglers! • LMR Report • Look for Kingfish and Wahoo in on the reef between 65 and 135'. There has been a few sailfish are around and look for blackfins in the late afternoon. 'LMR Every Saturday Tournament Announcement': Congratulations to Ross Hatfield (@ross.hatfield) for winning our "Every Saturday One Fish Tournament". The first place prize was a $300.00 Gift Certificate for weighing in the largest Snook at 10. LBS. If you're not familiar; this Friday evening we will announce the tournament fish online and on VHF 72 Saturday morning. We look forward to seeing you in the shop! 'LMR Every Saturday Tournament Announcement': The tournament fish for tomorrow is Snook! If your not familiar: 'Weigh your heavy legal Snook tomorrow before 7 P.M. at LMR Tackle. Because our tournament has rolled over for the second time, this means the prize has doubled to a $300.00 Gift Certificate for First Place & $25.00 Gift Certificate for Second! Winners will be called and posted on Monday. Have a great weekend and good luck anglers! • LMR Local Report • Kings & Wahoo tight to reef 60’-90’. Sailfish bite has been slow, look for Blackfin in the morning and late afternoon. Keep an eye out for birds & bait. 'LMR Every Saturday Tournament Announcement:' Not a single Wahoo was weighed in last weekends 'LMR Every Saturday One Fish Tournament'. Our first place prize has now rolled over for the second time and Saturday's First Place Prize will be a $300.00 Gift Certificate. If you're not familiar, we will post the tournament fish Friday evening on our website, Facebook & Instagram. As well as announce on VHF 72 Saturday morning. We look forward to seeing you in the shop! 'LMR Every Saturday Tournament' Announcement: The tournament fish for tomorrow is Wahoo! If your not familiar: 'Weigh your largest Wahoo before 7 P.M. at Lmr Tackle. Because our tournament has rolled over for the first time, tomorrow's prize is a $200.00 Gift Certificate for First Place & $25.00 Gift Certificate for Second! Monday, winners will be called and posted on Facebook & Instagram.' Good Luck Anglers, we look forward to seeing you in the shop! • LMR Local Report • Cold front is approaching, once wind shifts to N-NE; go fly a kite! Very few reports this week with west wind all week. Once front passes fishing should improve quickly. 'LMR Every Saturday Tournament Announcement:' Not a single Blackfin Tuna was weighed in last weekends 'LMR Every Saturday One Fish Tournament'. Our first place prize has now rolled over and Saturday's First Place Prize will be a $200.00 Gift Certificate. We will post the tournament fish Friday evening on our website, Facebook & Instagram. As well as announce on VHF 72 Saturday morning. We look forward to seeing you in the shop! 'LMR Every Saturday Tournament Announcement': The tournament fish for tomorrow is Blackfin Tuna! If your not familiar: 'Weigh your largest legal Blackfin Tuna before 7 P.M. at LMR Tackle. Because our tournament was won last weekend, this means the prize has reset to a $100.00 Gift Certificate for First Place & $25.00 Gift Certificate for Second! Winners will be called and posted on Monday. Good Luck Anglers! • LMR Local Report • It is going to be another windy weekend. Look for sailfish to the north by flying kites or slow trolling dead baits in 125’ to 200’. Wahoo and kingfish should be biting in tight to the reef between 65’ and 150’ using planers with either a bonita strip and a sea witch or a blue spoon. 'LMR Every Saturday Tournament Announcement': Congratulations to Jacques Paul-Hus @skipjac2 for winning our "Every Saturday One Fish Tournament". The first place prize was a $100.00 Gift Certificate for weighing in the largest Kingfish at 27.5 LBS. If you're not familiar; this Friday evening we will announce the tournament fish online and on VHF 72 Saturday morning. We look forward to seeing you in the shop! ''LMR Every Saturday Tournament Announcement': The tournament fish for tomorrow is Kingfish! If your not familiar: 'Weigh your largest legal Kingfish before 7 P.M. at LMR Tackle. Because our tournament was won last weekend, this means the prize has reset to a $100.00 Gift Certificate for First Place & $25.00 Gift Certificate for Second! Winners will be called and posted on Monday. Good Luck Anglers! • LMR Local Report • It is going to be another windy weekend. Look for sailfish to the north by flying kites or slow trolling dead baits in 125’ to 200’. Wahoo and kingfish should be biting in tight to the reef between 65’ and 150’ using planers with either a bonita strip and a sea witch or a blue spoon. LMR Every Saturday Tournament Announcement': Congratulations to Colin Page @page177 for winning our "Every Saturday One Fish Tournament". His prize is a $600.00 Gift Certificate for weighing in the largest Vermilion Snapper at 2.5 lbs. If you're not familiar; this Friday evening we will announce the tournament fish online and on VHF 72 Saturday morning. We look forward to seeing you in the shop! LMR Every Saturday Tournament Announcement': The tournament is on for tomorrow and the fish is Vermilion Snapper! If your not familiar: 'Weigh your largest Vermilion Snapper before 7 P.M. at LMR Tackle. Because our tournament has rolled over for the fifth time, the prize is a $600.00 Gift Certificate for First Place & $25.00 Gift Certificate for Second! Winners will be called and posted on Monday.' Good Luck Anglers! • LMR Local Report • Some Kings & Wahoo shallow on the reefs. Few Sailfish have been caught. Pay attention to the small craft advisory as the winds are blowing. LMR Tournament Announcement: In observance of the Christmas, LMR Tackle will have limited hours tomorrow. 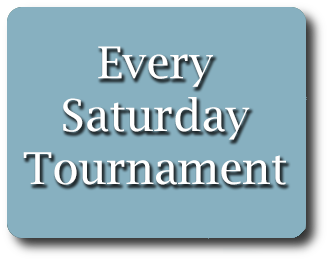 Therefore, Saturday will be a lay day for our tournament and this weekends prize will roll over into next weekend. If you're not familiar, this means next weekends prize will be a $500.00 Gift Certificate for First Place & $25.00 Gift Certificate for Second! Merry Christmas from everyone at LMR Tackle! • LMR Local Report • Windy, and rainy.. Quite a few Kingfish still.. Wahoo are still biting as well. 'LMR Every Saturday Tournament Announcement:' Not a single Cero Mackerel was weighed in last weekends 'LMR Every Saturday One Fish Tournament'. Our first place prize has now rolled over for the third time and Saturday's First Place Prize will be a $400.00 Gift Certificate. If you're not familiar, we will post the tournament fish Friday evening on Facebook & Instagram. As well as announce on VHF 72 Saturday morning. We look forward to seeing you in the shop! 'LMR Every Saturday Tournament Announcement': The tournament fish for tomorrow is Cero Mackerel! If your not familiar: 'Weigh your largest Cero Mackerel tomorrow before 7 P.M. at LMR Tackle. Because our tournament has rolled over for the second time, this means the prize has tripled to a $300.00 Gift Certificate for First Place & $25.00 Gift Certificate for Second! Winners will be called and posted on Monday. Have a great weekend and good luck anglers! • LMR Local Report • Moderate winds to breezy this weekend. Lots of Kings on reef - Sailfish good - few nice Wahoo as well. Bahamas Wahoo in full swing now - not getting bites? Go faster! Few Cobia moving South as well. 'LMR Every Saturday Tournament Announcement:' Not a single Cobia was weighed in last weekends 'LMR Every Saturday One Fish Tournament’. Our first place prize has now rolled over for the second time and Saturday's First Place Prize will be a $300.00 Gift Certificate. We will post the tournament fish Friday evening on our website, Facebook & Instagram. As well as announce on VHF 72 Saturday morning. We look forward to seeing you in the shop! 'LMR Every Saturday Tournament Announcement': The tournament fish for tomorrow is Cobia! If your not familiar: 'Weigh your largest legal Cobia tomorrow before 7 P.M. at LMR Tackle. Because our tournament was not won last weekend, this means the prize has doubled to a $200.00 Gift Certificate for First Place & $25.00 Gift Certificate for Second! Winners will be called and posted on Monday. Good Luck Anglers! • LMR Local Report •NE Wind will blow, go fly a kite! Plenty of small kings on reef. Sailfish & scattered Mahi around too. Maybe try a wreck for Cobia, they are moving South now. 'LMR Every Saturday Tournament Announcement:' Not a single Cobia was weighed in last weekends 'LMR Every Saturday One Fish Tournament'. Our first place prize has now rolled over and Saturday's First Place Prize will be a $200.00 Gift Certificate. If you're not familiar, we will post the tournament fish Friday evening on Facebook & Instagram. As well as announce on VHF 72 Saturday morning. We look forward to seeing you in the shop! 'LMR Every Saturday Tournament Announcement': The tournament fish for tomorrow is Cobia! If your not familiar: 'Weigh your largest legal Cobia before 7 P.M. at LMR Tackle. Because our tournament was won last weekend, this means the prize has reset to a $100.00 Gift Certificate for First Place & $25.00 Gift Certificate for Second! Winners will be called and posted on Monday. Good Luck Anglers! • LMR Local Report • Pretty good but not as good as it should be! Sailfish is either a few or lots and dolphin the same. Wahoo were good, now scarce. Give it a try, better than working! Kings OK but small. 'LMR Every Saturday Tournament Announcement': Congratulations to Daniel Beckham for winning our "Every Saturday One Fish Tournament". The first place prize was a $100.00 Gift Certificate for weighing in the largest Mutton Snapper at 3 LBS. If you're not familiar; this Friday evening we will announce the tournament fish online and on VHF 72 Saturday morning. We look forward to seeing you in the shop! 'LMR Every Saturday Tournament Announcement': The tournament fish for tomorrow is Mutton Snapper! If your not familiar: 'Weigh your largest legal Mutton Snapper tomorrow before 7 P.M. at LMR Tackle. Because our tournament was won last weekend, this means the prize has reset to a $100.00 Gift Certificate for First Place & $25.00 Gift Certificate for Second! Winners will be called and posted on Monday. Have a great weekend and good luck anglers! • LMR Local Report • Wahoo biting 150'-400' look for clean water and outgoing tide or deep beneath floating debris. Sailfish have been outside the third reef out to 160'. Kingfish and mutton snapper biting good. 'LMR Every Saturday Tournament Announcement': Congratulations to Terry Watson for winning our "Every Saturday One Fish Tournament". The first place prize was a $100.00 Gift Certificate for weighing in the largest Mahi Mahi at 8 LBS. If you're not familiar; this Friday evening we will announce the tournament fish online and on VHF 72 Saturday morning. We look forward to seeing you in the shop! 'LMR Every Saturday Tournament Announcement': The tournament fish for tomorrow is Mahi Mahi! If you're not familiar: 'Weigh your largest legal Mahi tomorrow before 7 P.M. at LMR Tackle. Because our tournament was won last weekend, this means the prize has reset to a $100.00 Gift Certificate for First Place & $25.00 Gift Certificate for Second! Winners will be called and posted on Monday. • LMR Local Report • Sailfish on the troll, nice Kings & Wahoo around. Bahamas Wahoo bite is solid, no wind easy crossing..
'LMR Every Saturday Tournament Announcement': The tournament fish for tomorrow is Wahoo! If you're not familiar: 'Weigh your largest legal Wahoo tomorrow before 7 P.M. at LMR Tackle. Because our tournament was won last weekend, this means the prize has reset to a $100.00 Gift Certificate for First Place & $25.00 Gift Certificate for Second! Winners will be called and posted on Monday. • LMR Local Report • Look at the weather and wind for a change - get it? Fishing is great - Sailfish on the troll, nice Kings & Wahoo around. Inshore Mullet run thinning, Snook & Tarpon will get hungry again soon. Bahamas Wahoo bite is solid now, no wind easy crossing, full moon & big tides all mean great fishing for all. 'LMR Every Saturday Tournament Announcement': The tournament fish for tomorrow is Mahi Mahi! If you're not familiar: 'Weigh your largest legal Mahi tomorrow before 7 P.M. at LMR Tackle. Because our tournament was won last weekend, this means the prize has reset to a $100.00 Gift Certificate for First Place & $25.00 Gift Certificate for Second! Winners will be called and posted on Monday. • LMR Local Report • Finally no wind, expect good fishing! Weak front moving through also. Get your ultra-light kites out 100-250' bring extra bait. Keep a deep bait out, few Cobia moving South. 'LMR Every Saturday Tournament Announcement': The tournament fish for tomorrow is Jack Crevalle! If your not familiar: 'Weigh your largest Jack Crevalle before 7 P.M. at LMR Tackle. Our tournament was not won last weekend, which means the prize has doubled to a $200.00 Gift Certificate for First Place & $25.00 Gift Certificate for Second! Winners will be called and posted on Monday. Good Luck Anglers! • LMR Local Report • Windy, windy, windy. When wind quits - fishing will be great! Wahoo biting now in Bahamas good! Mullet run at peak as well. 'LMR Every Saturday Tournament Announcement:' Not a single Mahi was weighed in last weekends 'LMR Every Saturday One Fish Tournament'. Our first place prize has now rolled over and Saturday's First Place Prize will be a $200.00 Gift Certificate. If you're not familiar, we will post the tournament fish Friday evening on Facebook & Instagram. As well as announce on VHF 72 Saturday morning. We look forward to seeing you in the shop! 'LMR Every Saturday Tournament Announcement': The tournament fish for tomorrow is Mahi Mahi! If you're not familiar: 'Weigh your largest legal Mahi tomorrow before 7 P.M. at LMR Tackle. Because our tournament was won last weekend, this means the prize has reset to a $100.00 Gift Certificate for First Place & $25.00 Gift Certificate for Second! Winners will be called and posted on Monday. 15% discount on most items in-store including bait on Saturday between the hours of 6-7am. Have a great weekend and good luck anglers! • LMR Local Report • Finally a cool front and a N.E. wind! This weekend will be good for trolling & live bait fishing. Plenty of Mahi, Blackfin, Kingfish, Sailfish & a few Wahoo around. Mullet run in full swing as well. 'LMR Every Saturday Tournament Announcement': Congratulations to Jim Miller for winning our "Every Saturday One Fish Tournament". The first place prize was a $300.00 Gift Certificate for weighing in the largest Bluefish at 5.65 lbs. Second place went to Bryan Fengler for his 2 lb. Bluefish and his prize was a $25.00 Gift Certificate. If you're not familiar; this Friday evening we will announce the tournament fish online and on VHF 72 Saturday morning. We look forward to seeing you in the shop! 'LMR Every Saturday Tournament Announcement:' Not a single Gag Grouper was weighed in last weekends 'LMR Every Saturday One Fish Tournament’. Our first place prize has now rolled over for the second time and Saturday's First Place Prize will be a $300.00 Gift Certificate. We will post the tournament fish Friday evening on our website, Facebook & Instagram. As well as announce on VHF 72 Saturday morning. We look forward to seeing you in the shop! 'LMR Every Saturday Tournament Announcement': The tournament fish for tomorrow is Gag Grouper! If your not familiar: 'Weigh your largest Gag Grouper before 7 P.M. at Lmr Tackle﻿. Because our tournament was not won last week, the prize has doubled to a $200.00 Gift Certificate for First Place & $25.00 Gift Certificate for Second! Winners will be called and posted on Facebook on Monday.' Good Luck Anglers! 15% discount on most items in-store including bait on Saturday between the hours of 6-7am. • LOCAL REPORT • Everyone ok? That was close! Really close!! Any way, once seas calm down a bit, a Lobster crawl is coming! Bottom fishing will be good also. Mullet run solid - N.E. Wind should push down a big wave too! Before storm had a few good report on early Wahoo bite in Bimini. More to come. 'LMR Every Saturday Tournament Announcement:' Not a single Wahoo was weighed in last weekends 'LMR Every Saturday One Fish Tournament'. Our first place prize has now rolled over and Saturday's First Place Prize will be a $200.00 Gift Certificate. If you're not familiar, we will post the tournament fish Friday evening on Facebook & Instagram. As well as announce on VHF 72 Saturday morning. We look forward to seeing you in the shop! 'LMR Every Saturday Tournament Announcement': The tournament fish fortomorrow is Wahoo! If your not familiar: 'Weigh your largest Wahoo before 7 P.M. at LMR Tackle. Because our tournament was won last weekend, this means the prize has reset to a $100.00 Gift Certificate for First Place & $25.00 Gift Certificate for Second! Winners will be called and posted on Monday. Good Luck Anglers! 15% discount on most items in-store including bait on Saturdaybetween the hours of 6-7am. • LMR Local Report • Sailfish are still biting on the troll outside the third reef. Out in the deep from about 1200ft. To 1800ft has been alot of weed lines and scattered weeds and debris. Mahi from schoolies up to 20 pounders have been caught. Running a planar has produced wahoo in the 12-30# class. 'LMR Every Saturday Tournament Announcement': Congratulations to Thomas Fengler (@thomasfengler) for winning our "Every Saturday One Fish Tournament". The first place prize was a $200.00 Gift Certificate for weighing in the largest Snook at 6. LBS. If you're not familiar; this Friday evening we will announce the tournament fish online Friday and on VHF 72 Saturday morning. 15% discount on most items in-store including bait on Saturday between the hours of 6-7am. We look forward to seeing you in the shop! 'LMR Every Saturday Tournament Announcement': The tournament fish for tomorrow is any legal Snook! If your not familiar: 'Weigh your largest legal Snook before 7 P.M. at LMR Tackle. Our tournament was not won last weekend, which means the prize has doubled to a $200.00 Gift Certificate for First Place & $25.00 Gift Certificate for Second! Winners will be called and posted on Monday. Good Luck Anglers! • LMR Local Report • Snapper fishing has been good on the reef, as well as king fish on and outside the reef. There are still Blackfin Tuna and Bonitos being caught. Bullet Bonitos are around and have been a good bait for the Wahoo and sailfish. Wahoo as well as Mahi have been scattered from just past the reef all the way out to 1600ft. 'LMR Every Saturday Tournament Announcement:' Not a single Snowy Grouper was weighed in last weekends 'LMR Every Saturday One Fish Tournament'. Our first place prize has now rolled over and this Saturday's First Place Prize will be a $200.00 Gift Certificate. Stay tuned to Facebook Friday evening and VHF 72 Saturday morning for the announcement of our next tournament fish. We look forward to seeing you in the shop! 'LMR Every Saturday Tournament Announcement': The tournament fish for tomorrow is Snowy Grouper! If you're not familiar: 'Weigh your largest legal Snowy Grouper tomorrow before 7 P.M. at LMR Tackle. Because our tournament was won last weekend, this means the prize has reset to a $100.00 Gift Certificate for First Place & $25.00 Gift Certificate for Second! Winners will be called and posted on Monday. 15% discount on most items in-store including bait on Saturday between the hours of 6-7am. Have a great weekend and good luck anglers! • LMR Local Report • There are have been some sailfish biting all week up and down the coast. We are also starting to see the fall mullet run. Watch for schools of mullet in the inlets and on the beaches. They will be followed closely by snook, jack, tarpon, and sharks. 'LMR Every Saturday Tournament Announcement': Congratulations to Ryan Kalili @ryan_kalili for winning our "Every Saturday One Fish Tournament". His prize was a $300.00 Gift Certificate for weighing in the largest Blackbelly Rosefish at 1.5 lbs. If you're not familiar; this Friday evening we will announce the tournament fish and on VHF 72 Saturday morning. 'LMR Every Saturday Tournament Announcement': The tournament fish for tomorrow is Blackbelly Rosefish! 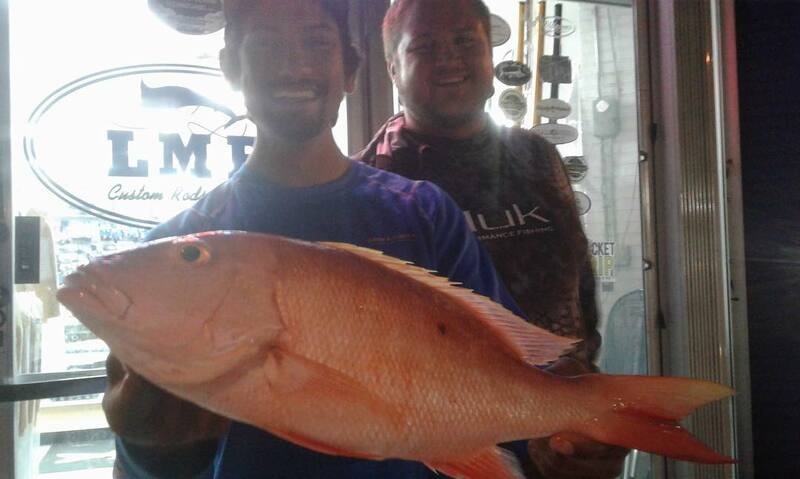 If your not familiar: 'Weigh your largest Blackbelly Rosefish before 7 P.M. at Lmr Tackle﻿. Because our tournament has rolled over for the second time, the prize has tripled to a $300.00 Gift Certificate for First Place & $25.00 Gift Certificate for Second! Winners will be called and posted on Monday.' 15% discount on most items in-store including bait on Saturday between the hours of 6-7am. Have a great weekend and good luck anglers! • LMR Local Report • Finger mullet have shown up!! Sailfish have been hot. Couple Wahoo around. Kingfish and Bonita and small Blackfins as well. 'LMR Every Saturday Tournament Announcement:' Not a single Sn ook was weighed in last weekends 'LMR Every Saturday One Fish Tournament'. Our first place prize has now rolled over for the second time and Saturday's First Place Prize will be a $300.00 Gift Certificate. We will post the tournament fish Friday evening on our website, Facebook & Instagram. As well as announce on VHF 72 Saturday morning. We look forward to seeing you in the shop! 'LMR Every Saturday Tournament Announcement': The tournament fish for tomorrow is any legal Snook! If your not familiar: 'Weigh your largest legal Snook before 7 P.M. at LMR Tackle. Our tournament was not won last weekend, which means the prize has doubled to a $200.00 Gift Certificate for First Place & $25.00 Gift Certificate for Second! Winners will be called and posted on Monday. Good Luck Anglers! • LMR Local Report • Hot and slow - Few Kings & bonita on reef. Mahi Slow, Swords OK. Inshore Bite - Good Snook & Tarpon biting well! 'LMR Every Saturday Tournament Announcement:' Not a single Yellowtail Snapper was weighed in last weekends 'LMR Every Saturday One Fish Tournament'. Our first place prize has now rolled over and this Saturday's First Place Prize will be a $200.00Gift Certificate. Stay tuned to Facebook Friday evening and VHF 72 Saturday morning for the announcement of our next tournament fish. We look forward to seeing you in the tackle shop! 'LMR Every Saturday Tournament Announcement': The tournament fish for tomorrow is Yellowtail Snapper! If you're not familiar: 'Weigh your largest Yellowtail Snapper before 7 P.M. at LMR Tackle . Because our tournament was won last weekend, this means the prize has reset to a $100.00 Gift Certificate for First Place & $25.00 Gift Certificate for Second! Winners will be called and posted on Monday.' 15% discount on most items in-store including bait on Saturday between the hours of 6-7am. Have a great weekend and good luck anglers! • LMR Local Report • Snapper bite at night good, few Kings, lots of Bonito. Sails pretty good. Some Blackfin Tuna for live baiters. Snook, Tarpon good inshore. 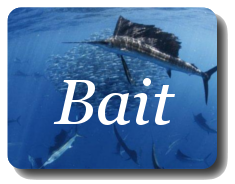 Bait easy to get! Best bet - chores around the house & boat! Its hot out! 'LMR Every Saturday Tournament Announcement': Congratulations to Ryan Palmer for winning our "Every Saturday One Fish Tournament". His prize is a $100.00 Gift Certificate for weighing in the largest Golden Tile at 10.2 lbs. If you're not familiar; this Friday evening we will announce the tournament fish online and on VHF 72 Saturday morning. 15% discount on most items in-store including bait on Saturday between the hours of 6-7am. Have a great weekend and good luck anglers! We look forward to seeing you in the shop! 'LMR Every Saturday Tournament Announcement': The tournament fish for tomorrow is Golden Tilefish! If your not familiar: 'Weigh your largest Golden Tile before 7 P.M. at LMR Tackle . Our tournament was won last weekend, which means the prize has reset to a $100.00 Gift Certificate for First Place & $25.00 Gift Certificate for Second! Winners will be called and posted on Monday.' Good Luck Anglers! • LMR Local Report • 15% discount on most items in-store including bait on Saturday between the hours of 6-7am. Have a great weekend and good luck anglers! • LMR Local Report • Sporadic mahi from 400 to 1000 look for kings and wahoo near the bottom on the using planners and sea witches with a Bonita strip. 'LMR Every Saturday Tournament Announcement': Congratulations to Keith Binder for winning our "Every Saturday One Fish Tournament". The first place prize was a $100.00 Gift Certificate for weighing in the largest Blackfin at 3 LBS. If you're not familiar; this Friday evening we will announce the tournament fish online and on VHF 72 Saturday morning. We look forward to seeing you in the shop! 'LMR Every Saturday Tournament Announcement': The tournament fish for tomorrow is Wahoo! If you're not familiar: 'Weigh your largest Wahoo tomorrow before 7 P.M. at LMR Tackle. Because our tournament was won last weekend, this means the prize has reset to a $100.00 Gift Certificate for First Place & $25.00 Gift Certificate for Second! Winners will be called and posted on Monday. 15% discount on most items in-store including bait on Saturday between the hours of 6-7am. Have a great weekend and good luck anglers! • LMR Local Report • Sporadic mahi from 400 to 1000 look for kings and wahoo near the bottom on the using planners and sea witches with a Bonita strip. 'LMR Every Saturday Tournament Announcement': The tournament fish for tomorrow is Blackfin Tuna! If you're not familiar: 'Weigh your largest Blackfin tomorrow before 7 P.M. at LMR Tackle. Because our tournament was won last weekend, this means the prize has reset to a $100.00 Gift Certificate for First Place & $25.00 Gift Certificate for Second! Winners will be called and posted on Monday. 15% discount on most items in-store including bait on Saturday between the hours of 6-7am. Have a great weekend and good luck anglers! • LMR Local Report • Sporadic mahi from 400 to 1000 look for kings and wahoo near the bottom on the using planners and sea witches with a Bonita strip. 'LMR Every Saturday Tournament Announcement': Congratulations to Neil Laue for winning our "Every Saturday One Fish Tournament". The first place prize was a $100.00 Gift Certificate for weighing in the largest Mahi at 20 LBS. Second place $25.00 Gift Certificate went to Doyle Williams for his 18 lb. Mahi. If you're not familiar; this Friday evening we will announce the tournament fish online and on VHF 72 Saturday morning. We look forward to seeing you in the shop! 'LMR Every Saturday Tournament Announcement': The tournament fish for tomorrow is Mahi Mahi! If you're not familiar: 'Weigh your largest legal Mahi tomorrow before 7 P.M. at LMR Tackle. Because our tournament was won last weekend, this means the prize has reset to a $100.00 Gift Certificate for First Place & $25.00 Gift Certificate for Second! Winners will be called and posted on Monday. 15% discount on most items in-store including bait on Saturday between the hours of 6-7am. Have a great weekend and good luck anglers! • LMR Local Report • Hot and slow.. Swordfish bite was good, Snappers on the reef. Mahi bit yesterday, but they were smaller fish. New moon is not until Tuesday. Fish late, fish early; fish deep. That time of year. 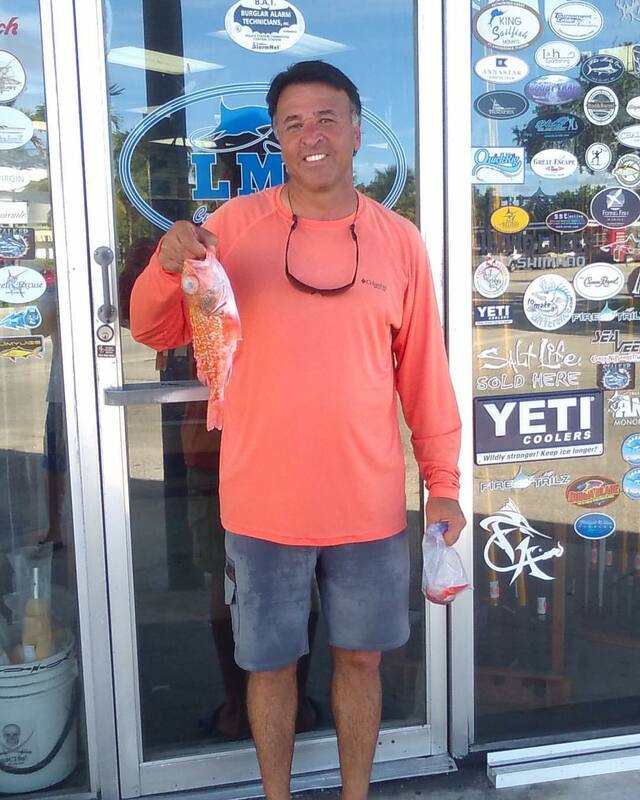 LMR Every Saturday Tournament Announcement': Congratulations to Nick Noon for winning our "Every Saturday One Fish Tournament". His prize is a $600.00 Gift Certificate for weighing in the largest Cubera Snapper at 16 lbs. If you're not familiar; this Friday evening we will announce the tournament fish online and on VHF 72 Saturday morning. We look forward to seeing you in the shop! 'LMR Every Saturday Tournament Announcement': The tournament is on for tomorrow and the fish is Cubera Snapper! If your not familiar: 'Weigh your largest Cubera Snapper before 7 P.M. at LMR Tackle. Because our tournament has rolled over for the fifth time, the prize is a $600.00 Gift Certificate for First Place & $25.00 Gift Certificate for Second! Winners will be called and posted on Monday.' Good Luck Anglers! 'LMR Every Saturday Tournament Announcement': The tournament fish for tomorrow is Swordfish! 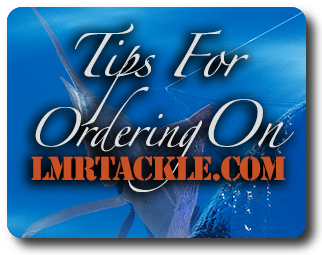 If your not familiar: 'Weigh your Swordfish with the longest short length before 7 P.M. at LMR Tackle. Because our tournament has rolled over for the fourth time, the prize is a $500.00 Gift Certificate for First Place & $25.00 Gift Certificate for Second! Winners will be called and posted on Monday.' Good Luck Anglers! • LMR Local Report • Summer is here! Fish early and late. Algae bloom to to North should push some fish south. Snook & Tarpon on the beach working the summer baits. Reef slow in general - hot tip - coming upon full moon 19th. Big Wahoo will bite, even slow troll a live Bonita? Now is the time! Sword bite good, will peak this weekend then slow down on full moon. Mangrove, Mutton and Yellowtail all biting good, Mangrove spawn in July full moon! 'LMR Every Saturday Tournament Announcement:' Not a single Gag Grouper was weighed in last weekends 'LMR Every Saturday One Fish Tournament'. Our first place prize has now rolled over for the fourth time and Saturday's First Place Prize will be a $500.00 Gift Certificate. If you're not familiar, we will post the tournament fish Friday evening on our website, Facebook & Instagram. As well as announce on VHF 72 Saturday morning. We look forward to seeing you in the shop! 'LMR Every Saturday Tournament Announcement': The tournament fish for tomorrow is Gag Grouper! If your not familiar: 'Weigh your largest Gag Grouper tomorrow before 7 P.M. at LMR Tackle. Because our tournament has rolled over for the third time, this means the prize is a $400.00 Gift Certificate for First Place & $25.00 Gift Certificate for Second! Winners will be called and posted on Monday. 15% discount on most items in-store including bait on Saturday between the hours of 6-7am. Have a great weekend and good luck anglers! • LMR Local Report • Fishing has been tough with all the west wind. There may still be some scattered dolphin under the birds in 250 – 700’. There has still been some black fins in close over the reefs and wrecks specially in the late afternoon. 'LMR Every Saturday Tournament Announcement': The tournament fish for tomorrow is Amberjack! If your not familiar: 'Weigh your largest Amberjack tomorrow before 7 P.M. at LMR Tackle. Because our tournament has rolled over for the second time, this means the prize has doubled to a $300.00 Gift Certificate for First Place & $25.00 Gift Certificate for Second! Winners will be called and posted on Monday. 15% discount on most items in-store including bait on Saturday between the hours of 6-7am. Have a great weekend and good luck anglers! • LMR Local Report • Fishing has been tough with all the west wind. There may still be some scattered dolphin under the birds in 250 – 700’. There has still been some black fins in close over the reefs and wrecks specially in the late afternoon. 'LMR Every Saturday Tournament Announcement:' Not a single School Master Snapper was weighed in last weekends 'LMR Every Saturday One Fish Tournament'. Our first place prize has now rolled over for the second time and Saturday's First Place Prize will be a $300.00 Gift Certificate. If you're not familiar, we will post the tournament fish Friday evening on Facebook & Instagram. As well as announce on VHF 72 Saturday morning. We look forward to seeing you in the shop! 'LMR Every Saturday Tournament Announcement': The tournament fish for tomorrow is School Master Snapper! If your not familiar: 'Weigh your largest legal School Master Snapper tomorrow before 7 P.M. at LMR Tackle. Because our tournament was not won last weekend, this means the prize has doubled to a $200.00 Gift Certificate for First Place & $25.00 Gift Certificate for Second! Winners will be called and posted on Monday. Good Luck Anglers! • LMR Local Report • Fishing has been tough with all the west wind. There may still be some scattered dolphin under the birds in 250 – 700’. There has still been some black fins in close over the reefs and wrecks specially in the late afternoon. 'LMR Every Saturday Tournament Announcement': The tournament fish for tomorrow is Mahi Mahi! If you're not familiar: 'Weigh your largest legal Mahi tomorrow before 7 P.M. at LMR Tackle. Because our tournament was won last weekend, this means the prize has reset to a $100.00 Gift Certificate for First Place & $25.00 Gift Certificate for Second! Winners will be called and posted on Monday. 15% discount on most items in-store including bait on Saturday between the hours of 6-7am. Have a great weekend and good luck anglers! • LMR Local Report • Fishing has been tough with all the west wind. There may still be some scattered dolphin under the birds in 250 – 700’. There has still been some black fins in close over the reefs and wrecks specially in the late afternoon. 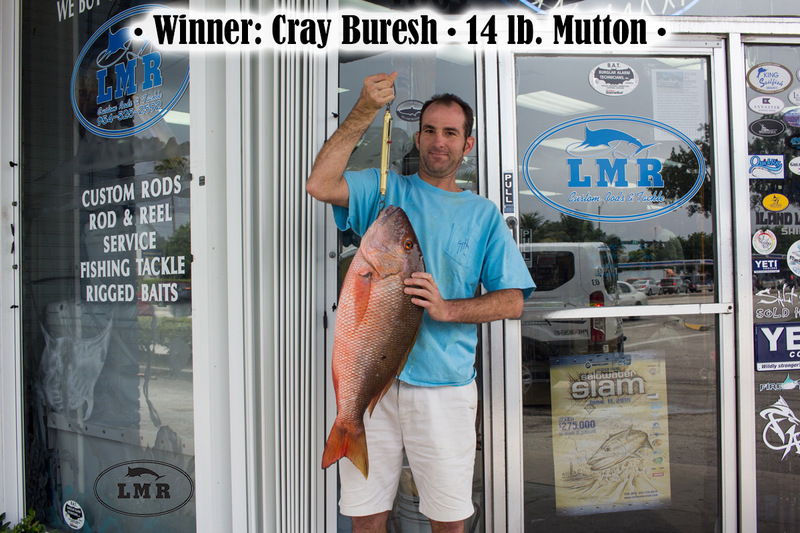 LMR Every Saturday Tournament Announcement': Congratulations to Cray Buresh for winning our "Every Saturday One Fish Tournament". His first place prize was a $400.00 Gift Certificate for weighing in the largest Mutton Snapper at 14 lbs. Second place went to Daniel Krumsieck for his 12.5 lb. Mutton and he won a $25.00 Gift Certificate. If you're not familiar; this Friday evening we will announce the tournament fish online and on VHF 72 Saturday morning. We look forward to seeing you in the shop! 'LMR Every Saturday Tournament Announcement': The tournament fish for tomorrow is Mutton Snapper! If your not familiar: 'Weigh your largest Mutton Snapper before 7 P.M. at LMR Tackle. Because our tournament has rolled over for the third time, the prize is a $400.00 Gift Certificate for First Place & $25.00 Gift Certificate for Second! Winners will be called and posted on Monday.' Good Luck Anglers! • LMR Local Report • Fishing has been best in late afternoon. Look for birds in 125' to 300' for Blackfin, Sailfish, and Dolphin using live bait on the kites slow trolling small Ballyhoo. 'LMR Every Saturday Tournament Announcement:' Not a single Cobia was weighed in last weekends 'LMR Every Saturday One Fish Tournament'. Our first place prize has now rolled over for the third time and Saturday's First Place Prize will be a $400.00 Gift Certificate. If you're not familiar, we will post the tournament fish Friday evening on Facebook & Instagram. As well as announce on VHF 72 Saturday morning. We look forward to seeing you in the shop! 'LMR Every Saturday Tournament Announcement:' Not a single Marble Grouper was weighed in last weekends 'LMR Every Saturday One Fish Tournament'. Our first place prize has now rolled over for the second time and Saturday's First Place Prize will be a $300.00 Gift Certificate. We will post the tournament fish Friday evening on our website, Facebook & Instagram. As well as announce on VHF 72 Saturday morning. We look forward to seeing you in the shop! 'LMR Every Saturday Tournament Announcement': The tournament fish for tomorrow is any legal Marble Grouper! 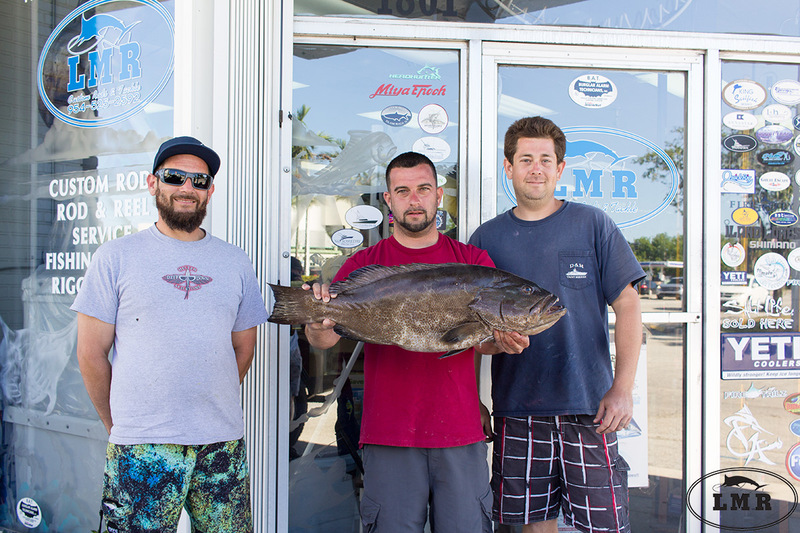 If your not familiar: 'Weigh your largest legal Marble Grouper before 7 P.M. at LMR Tackle. Our tournament was not won last weekend, which means the prize has doubled to a $200.00 Gift Certificate for First Place & $25.00 Gift Certificate for Second! Winners will be called and posted on Monday. Good Luck Anglers! • LMR Local Report • Scattered Mahi 400'-800'. Yellowtail Mutton bite good local. Grouper bite good Miami South. Bahamas Yellowfin, Marlin and Mahi are all good. 'LMR Every Saturday Tournament Announcement': The tournament fish for tomorrow is Yellowfin Tuna! If you're not familiar: 'Weigh your largest legal Yellowfin Tuna tomorrow before 7 P.M. at LMR Tackle. Because our tournament was won last weekend, this means the prize has reset to a $100.00 Gift Certificate for First Place & $25.00 Gift Certificate for Second! Winners will be called and posted on Monday. 15% discount on most items in-store including bait on Saturday between the hours of 6-7am. Have a great weekend and good luck anglers! • LMR Local Report • Scattered Mahi 400'-800'. Yellowtail Mutton bite good local. Grouper bite good Miami South. Bahamas Yellowfin, Marlin and Mahi are all good. Full moon Sat. Mutton Spawn! 'LMR Every Saturday Tournament Announcement': Congratulations to Ross Thibeault for winning our "Every Saturday One Fish Tournament". The first place prize was a $200.00 Gift Certificate for weighing in the largest Triple Tail at 5. LBS. If you're not familiar; this Friday evening we will announce the tournament fish online and on VHF 72 Saturday morning. 15% discount on most items in-store including bait on Saturday between the hours of 6-7am. We look forward to seeing you in the shop! 'LMR Every Saturday Tournament Announcement': The tournament fish for tomorrow is Triple Tail! If your not familiar: 'Weigh your largest legal Triple Tail tomorrow before 7 P.M. at LMR Tackle. Because our tournament was not won last weekend, this means the prize has doubled to a $200.00 Gift Certificate for First Place & $25.00 Gift Certificate for Second! Winners will be called and posted on Monday. Good Luck Anglers! • LMR Local Report • S.E. wind should return sat.-look for a better Mahi bite-600 to 800ft. Sword bite good. Kings scarce but bigger. Blackfin tuna good-early or late in day. Surprise-sailfish on the troll good this week. Bahamas-except for wahoo-the bite is good for all. Bottom-some cobia-grouper and mutton bite o.k. on deeper spots-200 ft or better. 'LMR Every Saturday Tournament Announcement:' Not a single Red Grouper was weighed in last weekends 'LMR Every Saturday One Fish Tournament'. Our first place prize has now rolled over and Saturday's First Place Prize will be a $200.00 Gift Certificate. If you're not familiar, we will post the tournament fish Friday evening on Facebook & Instagram. As well as announce on VHF 72 Saturday morning. We look forward to seeing you in the shop! 'LMR Every Saturday Tournament Announcement': The tournament fish for tomorrow is Red Grouper! If you're not familiar: 'Weigh your largest legal Red Grouper tomorrow before 7 P.M. at LMR Tackle. Because our tournament was won last weekend, this means the prize has reset to a $100.00 Gift Certificate for First Place & $25.00 Gift Certificate for Second! Winners will be called and posted on Monday. 15% discount on most items in-store including bait on Saturday between the hours of 6-7am. Have a great weekend and good luck anglers! • LMR Local Report • Early morning dolphin bite has been good look for birds or floating debris. Fish live baits out of the kite or slow troll swimming ballyhoo. LMR Every Saturday Tournament Announcement': Congratulations to Corey McConaghey for winning our "Every Saturday One Fish Tournament". The first place prize was a $100.00 Gift Certificate for weighing in the largest Blackfin at 21 LBS. If you're not familiar; this Friday evening we will announce the tournament fish online and on VHF 72 Saturday morning. We look forward to seeing you in the shop! 'LMR Every Saturday Tournament Announcement': The tournament fish for tomorrow is Blackfin Tuna! If you're not familiar: 'Weigh your largest Blackfin tomorrow before 7 P.M. at LMR Tackle. Because our tournament was won last weekend, this means the prize has reset to a $100.00 Gift Certificate for First Place & $25.00 Gift Certificate for Second! Winners will be called and posted on Monday. 15% discount on most items in-store including bait on Saturday between the hours of 6-7am. Have a great weekend and good luck anglers! • LMR Local Report • Inshore: spring Mullet at peak-beaches near inlets and inside Tarpon, Snook, Big Jacks. Offshore: few Kings North and Mahi Solid 200' on out-few Sails and Wahoo, Blackfins, Sword Bite good at night better daytime. Bahamas: Yellowfin getting better by the day. Mahi are bycatch and Marlin are biting as well. 'LMR Every Saturday Tournament Announcement': Congratulations to Allan McDonald for winning our "Every Saturday One Fish Tournament". 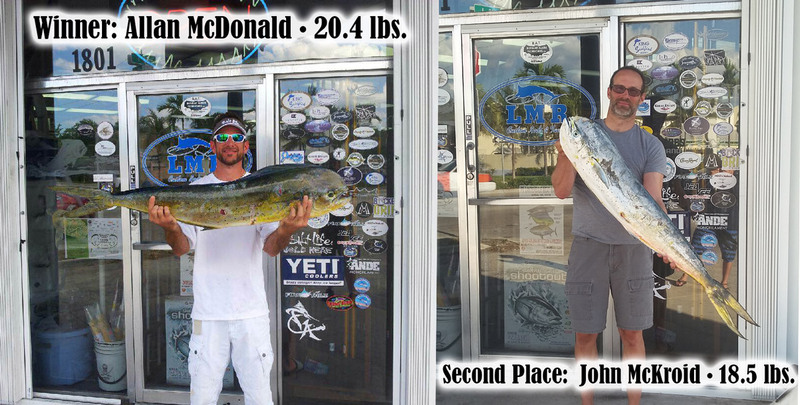 The first place prize was a $100.00 Gift Certificate for weighing in the largest Mahi at 20.4 LBS. Second place $25.00 Gift Certificate went to John McKroid for his 18.5 lb. Mahi. If you're not familiar; this Friday evening we will announce the tournament fish online and on VHF 72 Saturday morning. We look forward to seeing you in the shop! 'LMR Every Saturday Tournament Announcement': The tournament fish for tomorrow is Mahi Mahi! 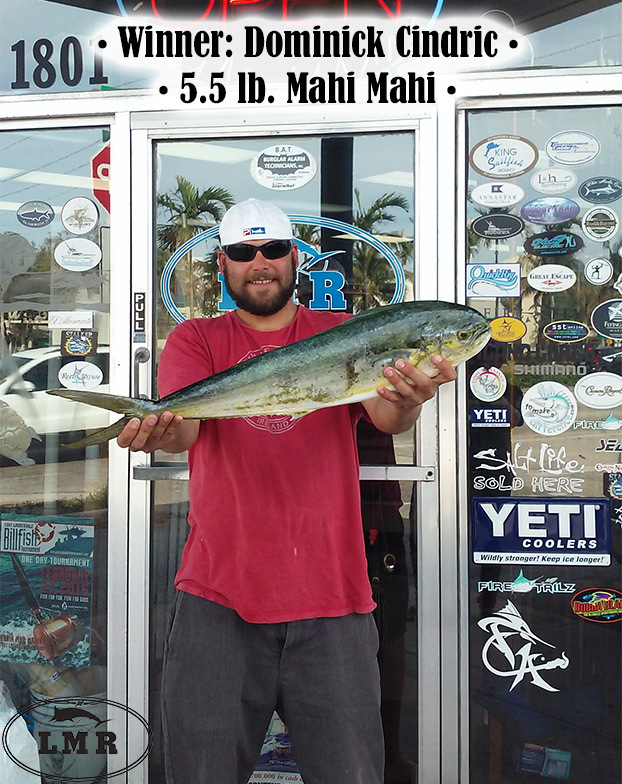 If your not familiar: 'Weigh your largest Mahi tomorrow before 7 P.M. at LMR Tackle. Because our tournament was won last weekend, this means the prize has reset to a $100.00 Gift Certificate for First Place & $25.00 Gift Certificate for Second! Winners will be called and posted on Monday. 15% discount on most items in-store including bait on Saturday between the hours of 6-7am. Have a great weekend and good luck anglers! • LMR Local Report • Fishing is good! All this wind has cleaned up the dirty water. Big Mahi to 40# have been around all week. Some nice Wahoo are mixed in as well. Spring Mullet run also has the Snook & Tarpon fired up and biting well. Local divers report seeing plenty of Mutton Snapper and the deeper wrecks are producing some big ones. Bahamas Yellowfin are showing up pretty good with large Mahi running after the Marlin baits. Marlin showing up and Wahoo fading away. After full moon Friday, take your pick and get lucky. 'LMR Every Saturday Tournament Announcement': The tournament fish for tomorrow is Mutton Snapper! If your not familiar: 'Weigh your largest Mutton tomorrow before 7 P.M. at LMR Tackle. Because our tournament was won last weekend, this means the prize has reset to a $100.00 Gift Certificate for First Place & $25.00 Gift Certificate for Second! Winners will be called and posted on Monday. 15% discount on most items in-store including bait on Saturday between the hours of 6-7am. Have a great weekend and good luck anglers! • LMR Local Report • Decent size dolphin being caught to the south in 850' and out Sailfish still being caught on the kite a long with Kings and Wahoo. 'LMR Every Saturday Tournament Announcement': The tournament fish for tomorrow is Mahi Mahi! If your not familiar: 'Weigh your largest Mahi tomorrow before 7 P.M. at LMR Tackle. Because our tournament was won last weekend, this means the prize has reset to a $100.00 Gift Certificate for First Place & $25.00 Gift Certificate for Second! Winners will be called and posted on Monday. 15% discount on most items in-store including bait on Saturday between the hours of 6-7am. 'LMR Every Saturday Tournament Announcement': The tournament fish for tomorrow is Snook! If your not familiar: 'Weigh your largest Snook tomorrow before 7 P.M. at LMR Tackle. Because our has rolled over for the second time, this means the prize has doubled to a $300.00 Gift Certificate for First Place & $25.00 Gift Certificate for Second! Winners will be called and posted on Monday. 15% discount on most items in-store including bait on Saturday between the hours of 6-7am. Have a great weekend and good luck anglers! • LMR Local Report • Dolphin have been found in anywhere between 300 to 600'. Sails are being caught in 135' to 200'. Black fins continue to be caught later in the afternoon just before dark. 'LMR Every Saturday Tournament Announcement:' Not a single Cobia was weighed in last weekends 'LMR Every Saturday One Fish Tournament'. Our first place prize has now rolled over for the second time and Saturday's First Place Prize will be a $300.00 Gift Certificate. If you're not familiar, we will post the tournament fish Friday evening on Facebook & Instagram. As well as announce on VHF 72 Saturday morning. We look forward to seeing you in the shop! 'LMR Every Saturday Tournament Announcement': The tournament fish for tomorrow is Cobia! If your not familiar: 'Weigh your largest Cobia tomorrow before 7 P.M. at LMR Tackle. Because our tournament was won last weekend, this means the prize has reset to a $200.00 Gift Certificate for First Place & $25.00 Gift Certificate for Second! Winners will be called and posted on Monday. Good Luck Anglers! • LMR Local Report • There has been a decent Dolphin bite in 3-600. Sailfish are still being caught either flying the kite or bump trolling live baits. Keep an eye out for black fin tunas fees on the surface in the late afternoon. 'LMR Every Saturday Tournament Announcement:' Not a single Mutton Snapper was weighed in last weekends 'LMR Every Saturday One Fish Tournament'. Our first place prize has now rolled over and Saturday's First Place Prize will be a $200.00 Gift Certificate. If you're not familiar, we will post the tournament fish Friday evening on Facebook & Instagram. As well as announce on VHF 72 Saturday morning. We look forward to seeing you in the shop! 'LMR Every Saturday Tournament Announcement': The tournament fish for tomorrow is Mutton Snapper! If your not familiar: 'Weigh your largest Mutton tomorrow before 7 P.M. at LMR Tackle. Because our tournament was won last weekend, this means the prize has reset to a $100.00 Gift Certificate for First Place & $25.00 Gift Certificate for Second! Winners will be called and posted on Monday. 15% discount on most items in-store including bait on Saturday between the hours of 6-7am. Have a great weekend and good luck anglers! • LMR Local Report • Sailfish and Kingfish have been thick to the north plenty of bait and sails south of Fowey Light. 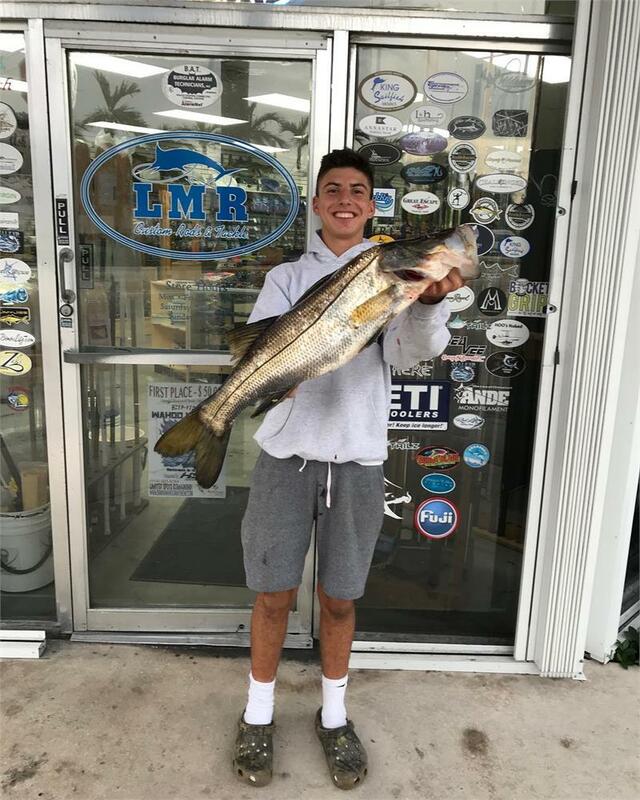 'LMR Every Saturday Tournament Announcement': Congratulations to Dominick Cindric for winning our "Every Saturday One Fish Tournament". The first place prize was a $200.00 Gift Certificate for weighing in the largest Mahi Mahi at 5.5. LBS. If you're not familiar; this Friday evening we will announce the tournament fish online and on VHF 72 Saturday morning. 15% discount on most items in-store including bait on Saturday between the hours of 6-7am. We look forward to seeing you in the shop! 'LMR Every Saturday Tournament Announcement': The tournament fish for tomorrow is Mahi Mahi! If your not familiar: 'Weigh your largest Mahi tomorrow before 7 P.M. at LMR Tackle. Because our tournament was won last weekend, this means the prize has reset to a $200.00 Gift Certificate for First Place & $25.00 Gift Certificate for Second! Winners will be called and posted on Monday. 15% discount on most items in-store including bait on Saturday between the hours of 6-7am. Good Luck Anglers! • LMR Local Report • Sailfish and Kingfish have been thick to the north plenty of bait and sails south of Fowey Light. 'LMR Every Saturday Tournament Announcement': The tournament fish for tomorrow is Snook! If your not familiar: 'Weigh your largest Snook tomorrow before 7 P.M. at LMR Tackle. Because our tournament was won last weekend, this means the prize has reset to a $100.00 Gift Certificate for First Place & $25.00 Gift Certificate for Second! Winners will be called and posted on Monday. 15% discount on most items in-store including bait on Saturday between the hours of 6-7am. Have a great weekend and good luck anglers! • LMR Local Report • Inshore not much too it, a lot of fresh water. Nearshore, very big kings around, big live baits best-blue runner or bluefish. Snapper bite good on deeper reefs and wrecks-muttons mostly. Sailfish ok at best-wahoo bite better. Offshore-some Mahi around scattered but good size when found-few sword reported as well. Best bet-run south towards Miami to get away from fresh water run-off. Without any wind to speak off, a offshore run may pay as well. LMR Every Saturday Tournament Announcement': Congratulations to Carl Patregnani for winning our "Every Saturday One Fish Tournament". The first place prize was a $200.00 Gift Certificate for weighing in the largest Blackfin Tuna at 16 LBS. Second place $25.00 Gift Certificate went to Troy Whittington for his 3.75 lb. Blackfin. If you're not familiar; this Friday evening we will announce the tournament fish online and on VHF 72 Saturday morning. 15% discount on most items in-store including bait on Saturday between the hours of 6-7am. We look forward to seeing you in the shop! 'LMR Every Saturday Tournament Announcement': The tournament fish for tomorrow is Blackfin Tuna! If your not familiar: 'Weigh your largest Blackfin Tuna tomorrow before 7 P.M. at LMR Tackle. Because our tournament was won last weekend, this means the prize has reset to a $200.00 Gift Certificate for First Place & $25.00 Gift Certificate for Second! Winners will be called and posted on Monday. Good Luck Anglers! • LMR Local Report • Sailfish and Kingfish are here but scattered, a few here and there with a double digit catch report thrown in. Bahamas wahoo good to great and quite a few hundred+ fish! With bait fisherman catching yellowfin as well though mostly smaller fish. Surprise this week has been the deep water fishing! True Red's, Yellow eye, Lane and Vermillion snapper biting well and throw in a few jacks and snowy grouper and cobia makes this weeks best bet 200 feet to 400 feet bottom fishing. Remember to keep a Bates hanging from rigger for a stray Mahi. 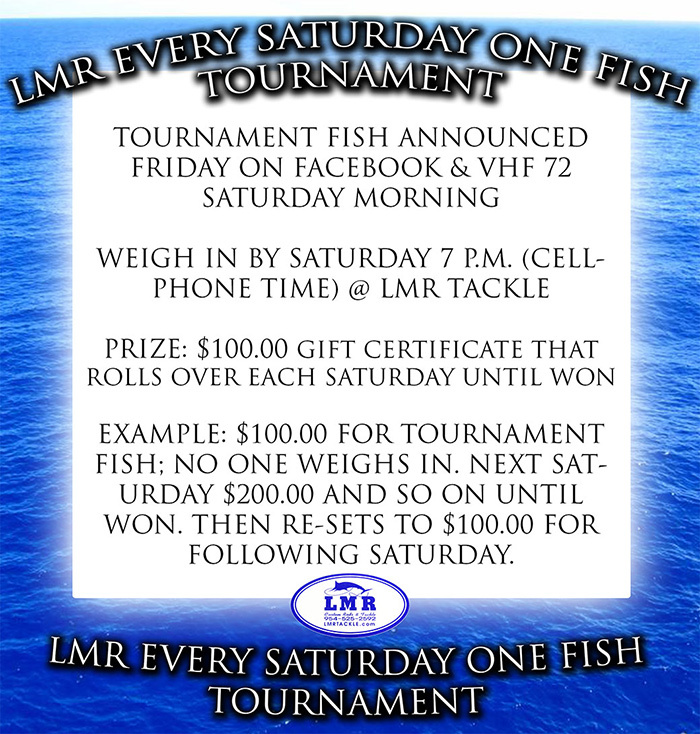 'LMR Every Saturday Tournament Announcement:' Not a single Red Snapper was weighed in last weekends 'LMR Every Saturday One Fish Tournament'. Our first place prize has now rolled over and Saturday's First Place Prize will be a $200.00 Gift Certificate. If you're not familiar, we will post the tournament fish Friday evening on Facebook & Instagram. As well as announce on VHF 72 Saturday morning. We look forward to seeing you in the shop! ''LMR Every Saturday Tournament Announcement': The tournament fish for tomorrow is Red Snapper! If your not familiar: 'Weigh your largest Red Snappe tomorrow before 7 P.M. at LMR Tackle. Because our tournament was won last weekend, this means the prize has reset to a $100.00 Gift Certificate for First Place & $25.00 Gift Certificate for Second! Winners will be called and posted on Monday. Good Luck Anglers! • LMR Local Report • Sailfish are here but scattered, a few here and there with a double digit catch report thrown in. Bahamas wahoo good to great and quite a few hundred+ fish! With bait fisherman catching yellowfin as well though mostly smaller fish. Surprise this week has been the deep water fishing! True Red's, Yellow eye, Lane and Vermillion snapper biting well and throw in a few jacks and snowy grouper and cobia makes this weeks best bet 200 feet to 400 feet bottom fishing. Remember to keep a Bates hanging from rigger for a stray Mahi. 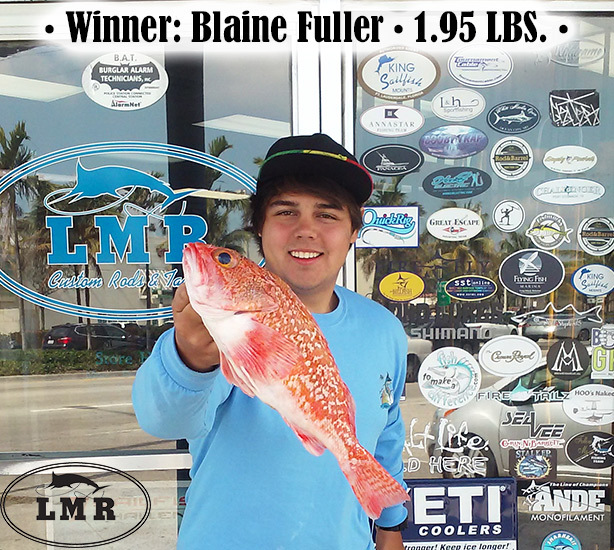 'LMR Every Saturday Tournament Announcement': Congratulations to Blaine Fuller for winning our "Every Saturday One Fish Tournament". The first place prize was a $100.00 Gift Certificate for weighing in the largest Black Belly Rosefish at 1.95 LBS. If you're not familiar; this Friday evening we will announce the tournament fish online and on VHF 72 Saturday morning. We look forward to seeing you in the shop! 'LMR Every Saturday Tournament Announcement': The tournament fish for tomorrow is Black Belly Rosefish! If your not familiar: 'Weigh your largest Black Belly Rosefish tomorrow before 7 P.M. at LMR Tackle. Because our tournament was won last weekend, this means the prize has reset to a $100.00 Gift Certificate for First Place & $25.00 Gift Certificate for Second! Winners will be called and posted on Monday. Good Luck Anglers! • LMR Local Report • Sailfish bite has been good north of the steeple in 135 feet of water and look for black bins in the afternoon in the same area sometimes deeper. 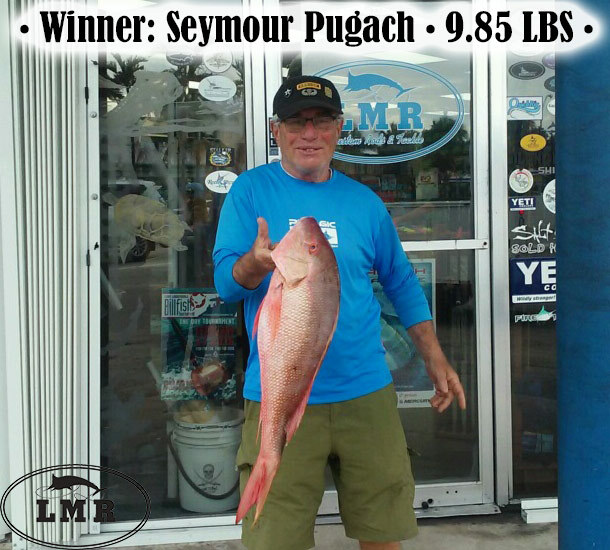 LMR Every Saturday Tournament Announcement': Congratulations to Seymour Pugach for winning our "Every Saturday One Fish Tournament". The first place prize was a $100.00 Gift Certificate for weighing in the largest Mutton Snapper at 9.85 LBS. If you're not familiar; this Friday evening we will announce the tournament fish online and on VHF 72 Saturday morning. We look forward to seeing you in the shop! 'LMR Every Saturday Tournament Announcement': The tournament fish for tomorrow is Mutton Snapper! If your not familiar: 'Weigh your largest Mutton Snapper tomorrow before 7 P.M. at LMR Tackle. Because our tournament was won last weekend, this means the prize has reset to a $100.00 Gift Certificate for First Place & $25.00 Gift Certificate for Second! Winners will be called and posted on Monday. Good Luck Anglers! • LMR Local Report • African pompano, Sailfish and Mahi continue to be caught in 130 to 200'. Kingfish being caught in tight a long the reef in 90' to 140'. 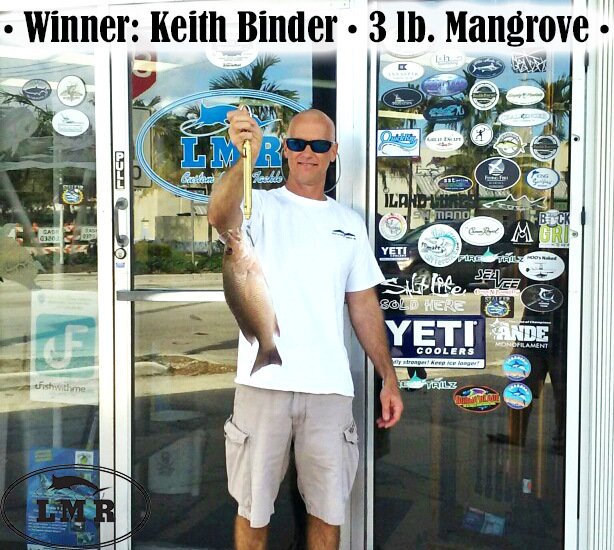 LMR Every Saturday Tournament Announcement': Congratulations to Keith Binder for winning our "Every Saturday One Fish Tournament". 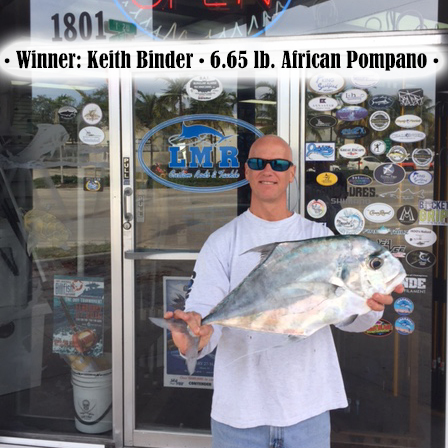 The first place prize was a $100.00 Gift Certificate for weighing in the largest African Pompano at 6.65LB. If you're not familiar; this Friday evening we will announce the tournament fish online and on VHF 72 Saturday morning. We look forward to seeing you in the shop! 'LMR Every Saturday Tournament Announcement': The tournament fish for tomorrow is African Pompano! 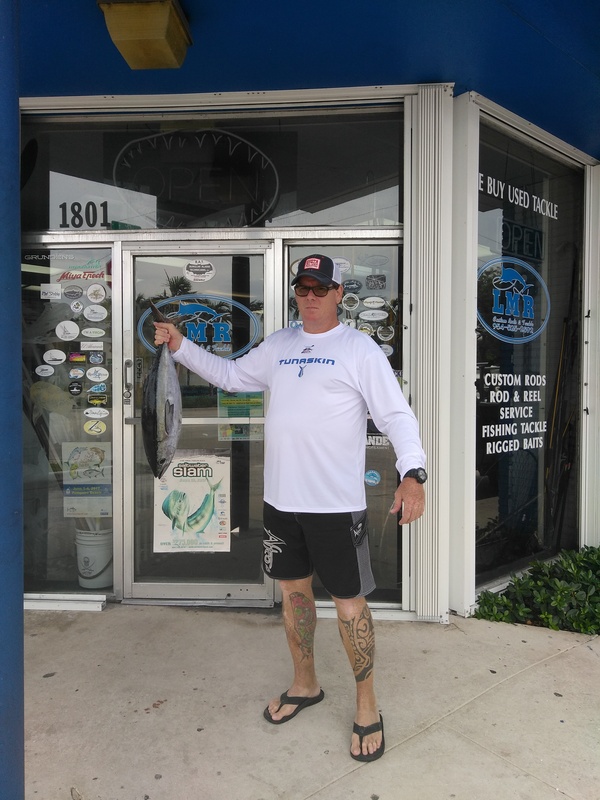 If your not familiar: 'Weigh your largest African Pompano tomorrow before 7 P.M. at LMR Tackle. Because our tournament was won last weekend, this means the prize has reset to a $100.00 Gift Certificate for First Place & $25.00 Gift Certificate for Second! Winners will be called and posted on Monday. Good Luck Anglers! • LMR Local Report • African pompano, sailfish and dolphin continue to be caught in 130 to 200'. Kingfish being caught in tight a long the reef in 90' to 140'. 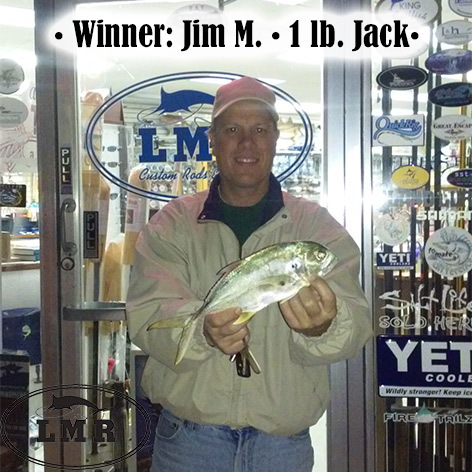 'LMR Every Saturday Tournament Announcement': Congratulations to Jim M. for winning our "Every Saturday One Fish Tournament". The first place prize was a $100.00 Gift Certificate for weighing in the largest Jack at 1LB. If you're not familiar; this Friday evening we will announce the tournament fish online and on VHF 72 Saturday morning. We look forward to seeing you in the shop! 'LMR Every Saturday Tournament Announcement': The tournament fish for tomorrow is Jack Crevalle! If your not familiar: 'Weigh your largest Jack Crevalle before 7 P.M. at LMR Tackle. Because our tournament was won last weekend, this means the prize has reset to a $100.00 Gift Certificate for First Place & $25.00 Gift Certificate for Second! Winners will be called and posted on Monday. Good Luck Anglers! 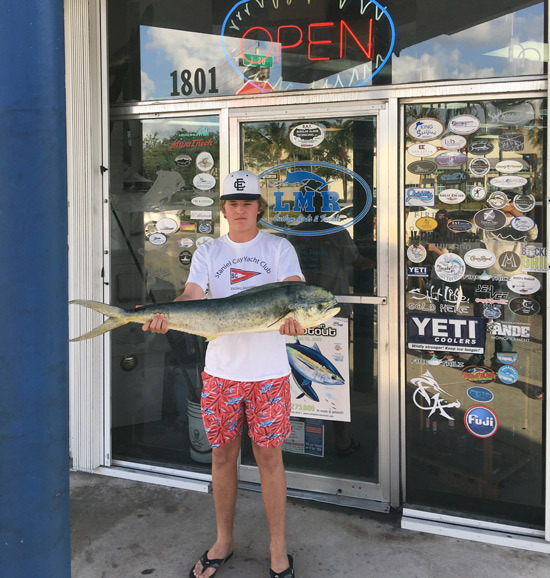 • LMR Local Report • Dolphin and sail fish in 150' of water fishing live baits on the kite or slow trolling live ballyhoo. 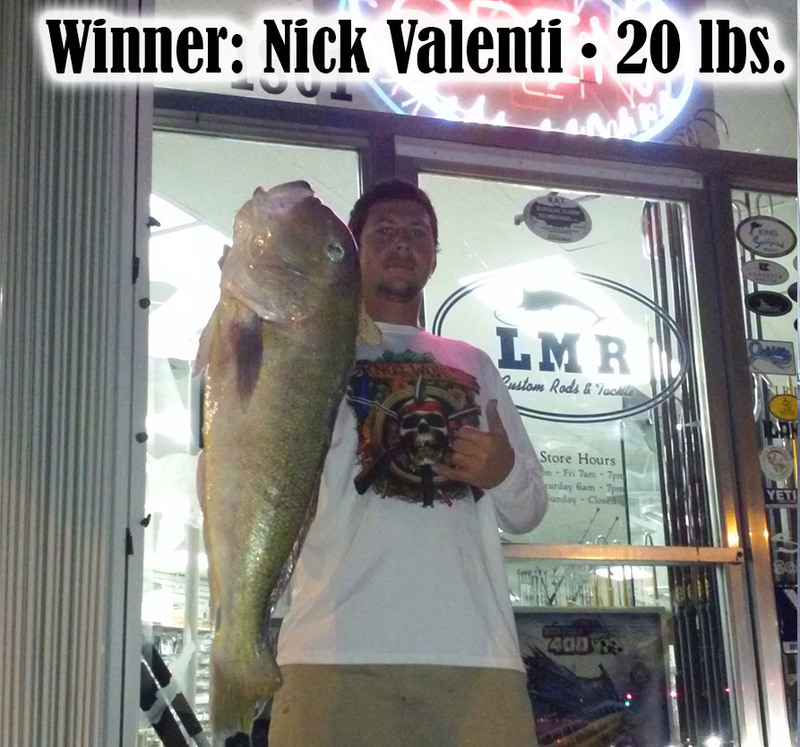 'LMR Every Saturday Tournament Announcement': Congratulations to Nick Valenti for winning our "Every Saturday One Fish Tournament". His first place prize was a $200.00 Gift Certificate for weighing in the largest Golden Tilefish at 20 lbs. Second place went to Colton Richardson for his 18 lb. Golden and he won a $25.00 Gift Certificate. If you're not familiar; this Friday evening we will announce the tournament fish online and on VHF 72 Saturday morning. We look forward to seeing you in the shop! 'LMR Every Saturday Tournament Announcement': The tournament fish for tomorrow is any legal Golden Tilefish! 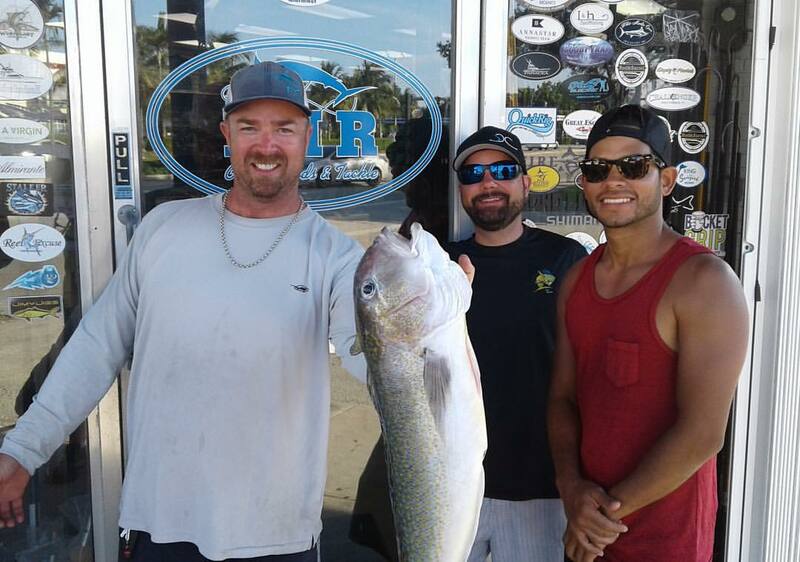 If your not familiar: 'Weigh your largest legal Golden Tilefish before 7 P.M. at LMR Tackle. Our tournament was not won last weekend, which means the prize has doubled to a $200.00 Gift Certificate for First Place & $25.00 Gift Certificate for Second! Winners will be called and posted on Monday. Good Luck Anglers! 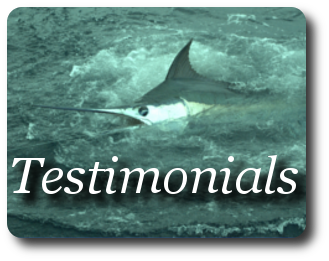 • LMR Local Report • Dolphin and sail fish in 150' of water fishing live baits on the kite or slow trolling live ballyhoo. LMR Every Saturday Tournament Announcement:' Not a single Wahoo was weighed in last weekends 'LMR Every Saturday One Fish Tournament'. Our first place prize has now rolled over and Saturday's First Place Prize will be a $200.00 Gift Certificate. If you're not familiar, we will post the tournament fish Friday evening on Facebook & Instagram. As well as announce on VHF 72 Saturday morning. We look forward to seeing you in the shop! 'LMR Every Saturday Tournament Announcement': The tournament fish for tomorrow is Wahoo! If your not familiar: 'Weigh your largest Wahoo before 7 P.M. at LMR Tackle. Because our tournament was won last weekend, this means the prize has reset to a $100.00 Gift Certificate for First Place & $25.00 Gift Certificate for Second! Winners will be called and posted on Monday. Good Luck Anglers! • LMR Local Report • Kingfish and sailfish still being caught in 90 to 200 live baits on the kite. Wahoo have been biting north of pompano in the early morning and late afternoon. 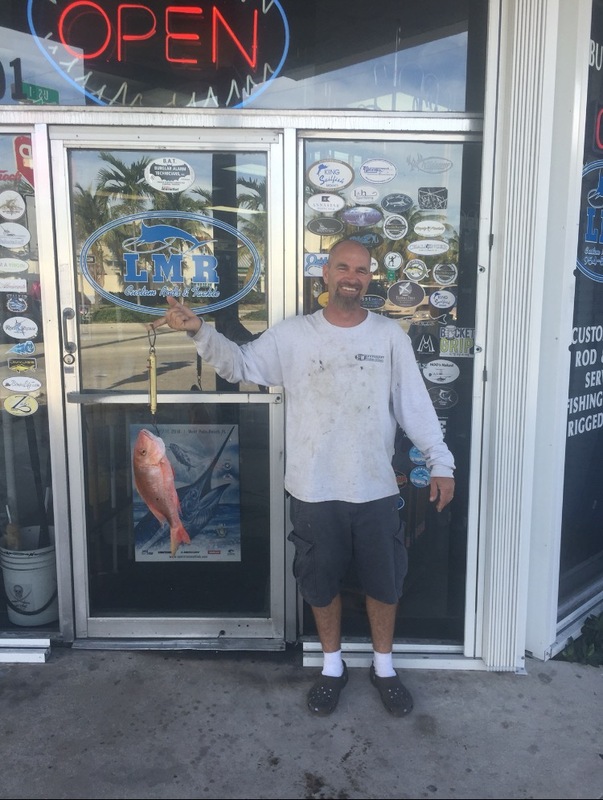 LMR Every Saturday Tournament Announcement': Congratulations to Brandon Meltzer for winning our "Every Saturday One Fish Tournament". His prize is a $600.00 Gift Certificate for weighing in the largest Blackfin Tuna at 11.85 lbs. Second place $25.00 Gift Certificate went to Allan Escuage for his 3 lb. Blackfin. If you're not familiar; this Friday evening we will announce the tournament fish online and on VHF 72 Saturday morning. We look forward to seeing you in the shop! 'LMR Every Saturday Tournament Announcement': The tournament is on for tomorrow and the fish is Blackfin Tuna! If your not familiar: 'Weigh your largest Blackfin Tuna before 7 P.M. at LMR Tackle. Because our tournament has rolled over for the fifth time, the prize is a $600.00 Gift Certificate for First Place & $25.00 Gift Certificate for Second! Winners will be called and posted on Monday.' Good Luck Anglers! 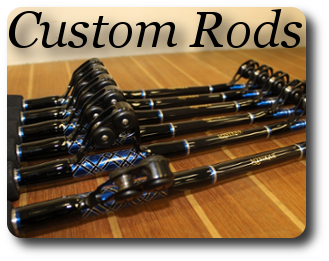 'LMR Tournament Announcement: In observance of Christmas & New Years, LMR Tackle will be closed tomorrow 12/26. Therefore our tournament will not resume until January 2nd, 2016 and if you're not familiar, our first place prize has rolled over for the fifth time and our tournaments' First Place Prize will be a $600.00 Gift Certificate. 'LMR Every Saturday Tournament Announcement': The tournament fish for tomorrow is Wahoo! If your not familiar: 'Weigh your largest Wahoo before 7 P.M. at LMR Tackle. Because our tournament has rolled over for the fourth time, the prize is a $500.00 Gift Certificate for First Place & $25.00 Gift Certificate for Second! Winners will be called and posted on Monday.' Good Luck Anglers! • LMR Local Report • The bite in South Florida remains strong. Charter boats are catching multiple Sailfish on every trip in 130-180ft. The Mahi bite has been great for two weeks running with the majority of the larger fish being caught in the 600-800ft. with the full moon occurring. On Christmas, the Wahoo Fishing will be red hot from now until after the holidays the magic depth has been around 275ft & deeper for the Wahoo. 'LMR Every Saturday Tournament Announcement:' Not a single Cobia was weighed in last weekends 'LMR Every Saturday One Fish Tournament'. Our first place prize has now rolled over for the fourth time and Saturday's First Place Prize will be a $500.00 Gift Certificate. If you're not familiar, we will post the tournament fish Friday evening on Facebook & Instagram. As well as announce on VHF 72 Saturday morning. We look forward to seeing you in the shop! 'LMR Every Saturday Tournament Announcement': The tournament fish for tomorrow is Cobia! If your not familiar: 'Weigh your largest Cobia before 7 P.M. at LMR Tackle. Because our tournament has rolled over for the third time, the prize is a $400.00 Gift Certificate for First Place & $25.00 Gift Certificate for Second! Winners will be called and posted on Monday.' Good Luck Anglers! • LMR Local Report • Fishing continues to be great. Sailfish and Mahi continue to be caught in 100'-250' while live baiting and flying the kites. 'LMR Every Saturday Tournament Announcement:' Not a single Black Grouper was weighed in last weekends 'LMR Every Saturday One Fish Tournament'. Our first place prize has now rolled over for the third time and Saturday's First Place Prize will be a $400.00 Gift Certificate. If you're not familiar, we will post the tournament fish Friday evening on Facebook & Instagram. As well as announce on VHF 72 Saturday morning. We look forward to seeing you in the shop! 'LMR Every Saturday Tournament Announcement': The tournament fish for tomorrow is Black Grouper! 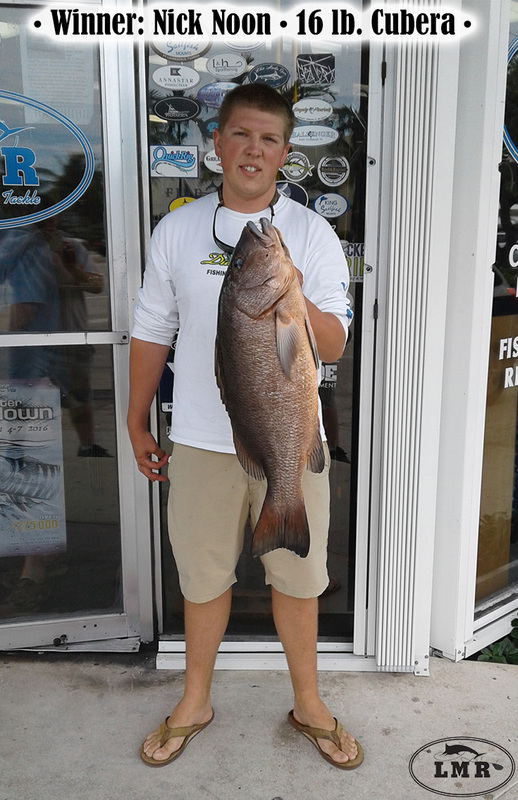 If your not familiar: 'Weigh your largest Black Grouper before 7 P.M. at LMR Tackle. Because our tournament has rolled over twice, this means the prize has tripled to a $300.00 Gift Certificate for First Place & $25.00 Gift Certificate for Second! Winners will be called and posted on Monday.' Good Luck Anglers! • LMR Local Report • Sailfish and Mahi continue to be caught in 100'-250' while live baiting and flying the kites. 'LMR Every Saturday Tournament Announcement': The tournament fish for tomorrow is any legal Barrel Fish! If your not familiar: 'Weigh your largest legal Barrel Fish before 7 P.M. at LMR Tackle. Our tournament was not won last weekend, which means the prize has doubled to a $200.00 Gift Certificate for First Place & $25.00 Gift Certificate for Second! Winners will be called and posted on Monday. Good Luck Anglers! • LMR Local Report • Sailfish and Mahi continue to be caught in 100'-250' while live baiting and flying the kites. 'LMR Every Saturday Tournament Announcement': The tournament fish for tomorrow is Wahoo! If your not familiar: 'Weigh your largest Wahoo before 7 P.M. at LMR Tackle. Because our tournament was won last weekend, this means the prize has reset to a $100.00 Gift Certificate for First Place & $25.00 Gift Certificate for Second! Winners will be called and posted on Monday. Good Luck Anglers! • LMR Local Report • Finally a nice cool front! Look for S.E. Winds Saturday - bite will be good - pre-front conditions! Sunday - wind switch to S.W. & rain - watch football. Mahi & Wahoo good all week 200'-400'. Kings & Blackfin 100'-200'. Inshore - Tarpon & Snook good - No Mullet? Shrimp & Troll Rite will work. 'LMR Every Saturday Tournament Announcement': The tournament fish for tomorrow is Blackfin Tuna! If your not familiar: 'Weigh your largest Blackfin Tuna before 7 P.M. at LMR Tackle. Because our tournament was won last weekend, this means the prize has reset to a $100.00 Gift Certificate for First Place & $25.00 Gift Certificate for Second! Winners will be called and posted on Monday. Good Luck Anglers! • LMR Local Report • Mahi continue to be caught in 200' to 600' of water. Sailfish and Kingfish are being caught on the Kingfish are being caught on the kite in 100' to 200'. 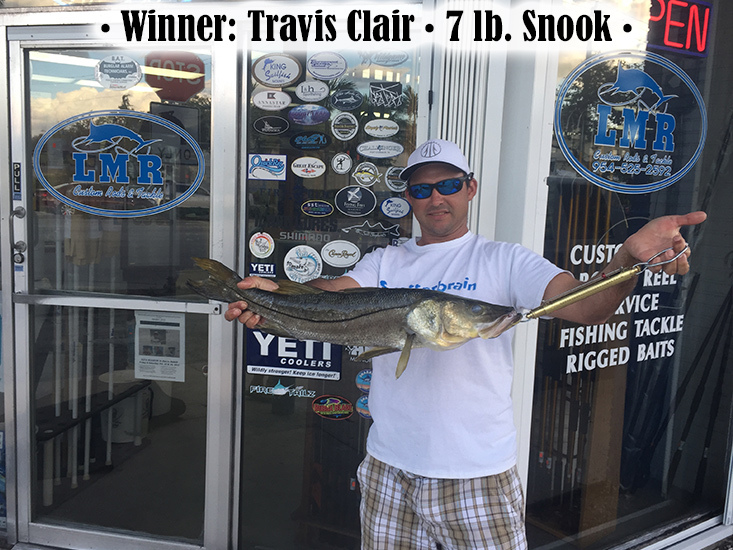 'LMR Every Saturday Tournament Announcement': Congratulations to Travis Clair for winning our "Every Saturday One Fish Tournament". The first place prize was a $100.00 Gift Certificate for weighing in the largest Mutton Snapper at 5.5 lbs. If you're not familiar; this Friday evening we will announce the tournament fish online and on VHF 72 Saturday morning. We look forward to seeing you in the shop! 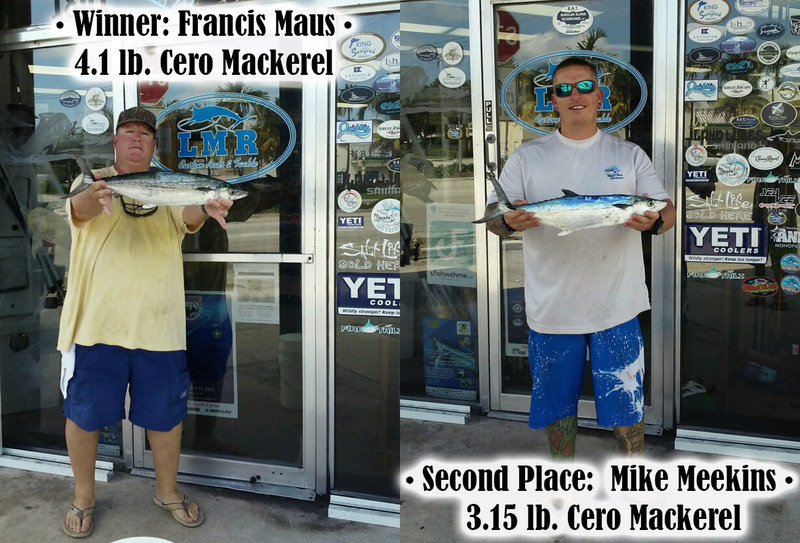 'LMR Every Saturday Tournament Announcement': Congratulations to Francis Maus for winning our "Every Saturday One Fish Tournament". The first place prize was a $100.00 Gift Certificate for weighing in the largest Cero Mackerel at 4.1 lbs. Second place went to Mike Meekins for his 3.15 lb. Cero and he won a $25.00 Gift Certificate. If you're not familiar; this Friday evening we will announce the tournament fish online and on VHF 72 Saturday morning. We look forward to seeing you in the shop! 'LMR Every Saturday Tournament Announcement': The tournament fish for tomorrow is Cero Mackerel! If your not familiar: 'Weigh your largest Cero Mackerel before 7 P.M. at LMR Tackle. Because our tournament was won last weekend, this means the prize has reset to a $100.00 Gift Certificate for First Place & $25.00 Gift Certificate for Second! Winners will be called and posted on Monday. Good Luck Anglers! • LMR Local Report • Wind has subsided! Stay in close 300ft or less! Sailfish getting better and better to the North. Kings better as well with some Cero Mackerel on second reef. Scattered Mahi with some nicer fish mixed in. A few Yellowfin Tuna caught too! Mullet run has peaked, fish harder to fool as they are pretty full. Still worth a try inshore. 'LMR Every Saturday Tournament Announcement': Congratulations to Keith Binder for winning our "Every Saturday One Fish Tournament". The first place prize was a $300.00 Gift Certificate for weighing in the largest Mangrove Snapper at 3 lbs. If you're not familiar; this Friday evening we will announce the tournament fish online and on VHF 72 Saturday morning. We look forward to seeing you in the shop! 'LMR Every Saturday Tournament Announcement': The tournament fish for tomorrow is Mangrove Snapper! If your not familiar: 'Weigh your largest Mangrove Snapper before 7 P.M. at LMR Tackle. Because our tournament has rolled over twice, this means the prize has tripled to a $300.00 Gift Certificate for First Place & $25.00 Gift Certificate for Second! Winners will be called and posted on Monday.' Good Luck Anglers! • LMR Local Report • Tarpon & Snook continue to be in the inlets and around bridges feeding on schools of Mullet. Offshore, Sailfish are starting to show up in 150' to 300'. 'LMR Every Saturday Tournament Announcement': The tournament fish for tomorrow is any legal Bluefish! If your not familiar: 'Weigh your largest legal Bluefish before 7 P.M. at LMR Tackle. Our tournament was not won last weekend, which means the prize has doubled to a $200.00 Gift Certificate for First Place & $25.00 Gift Certificate for Second! Winners will be called and posted on Monday. Good Luck Anglers! • LMR Local Report • Mullet run still the big story! We have a big Northeast wind on the way too. This will push bait into the inlets for a nice burst of action. Fish the higher parts of the tide for excellent action on Snooks, Jacks, Tarpon and Big Mangroves. Brace the seas? The fish will be biting! Look for Sailfish, Mahi, a few Wahoo and Kings. Breakout the Kite Gear! 'LMR Every Saturday Tournament Announcement': The tournament fish for tomorrow is Cobia! If your not familiar: 'Weigh your largest legal Cobia before 7 P.M. at LMR Tackle. Because our tournament was won last weekend, this means the prize has reset to a $100.00 Gift Certificate for First Place & $25.00 Gift Certificate for Second! Winners will be called and posted on Monday. Good Luck Anglers! • LMR Local Report • Snook and Tarpon continue to be your best bet in the inlets and intracoastal around docks & bridges. 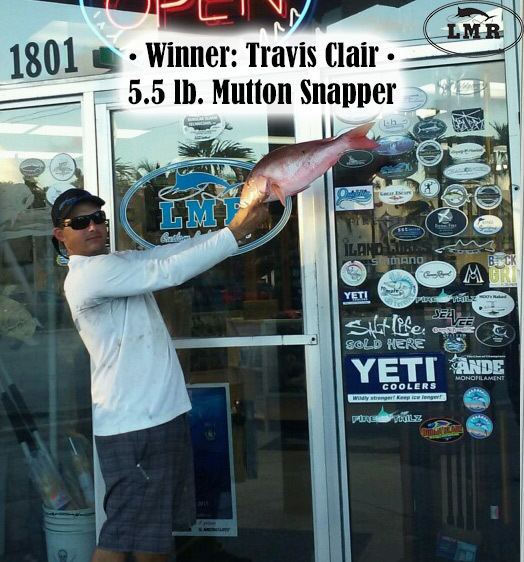 'LMR Every Saturday Tournament Announcement': Congratulations to Travis Clair for winning our "Every Saturday One Fish Tournament". The first place prize was a $100.00 Gift Certificate for weighing in the largest Snook at 7 lbs. If you're not familiar; this Friday evening we will announce the tournament fish online and on VHF 72 Saturday morning. We look forward to seeing you in the shop! 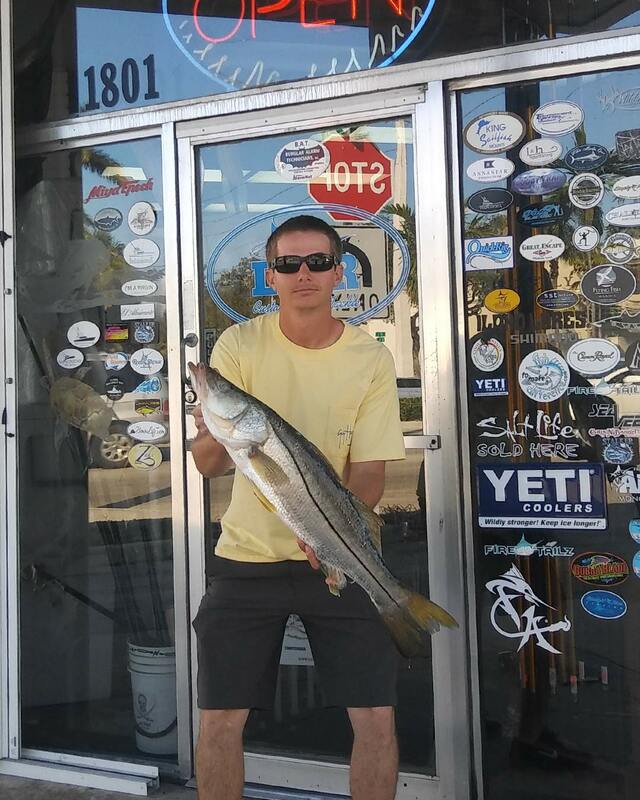 'LMR Every Saturday Tournament Announcement': The tournament fish for tomorrow is Snook of Legal Length, winning by weight! If your not familiar: 'Weigh your largest legal Snook before 7 P.M. at LMR Tackle. Because our tournament was won last weekend, this means the prize has reset to a $100.00 Gift Certificate for First Place & $25.00 Gift Certificate for Second! Winners will be called and posted on Monday. Good Luck Anglers! • LMR Local Report • Mullet run solid, inlets & beaches best bet. This will only get better with storm conditions. Dolphin bite still good offshore if you dare! Kings better on reef & Snapper still worth a try. No Bahamas trips as we wait out Hurricane, but after Wahoo are starting already! 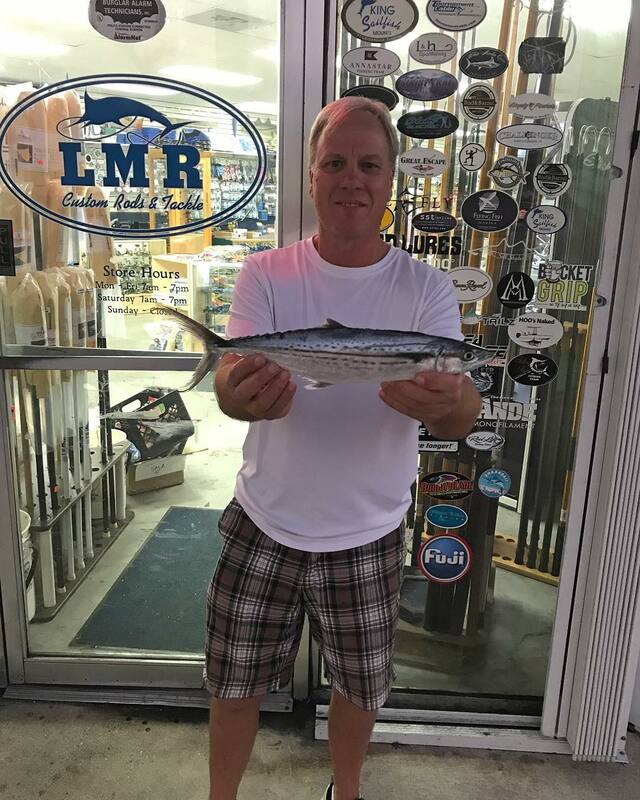 LMR Every Saturday Tournament Announcement': Congratulations to Danny Vergho for winning our "Every Saturday One Fish Tournament". His first place prize was a $400.00 Gift Certificate for weighing in the largest Mahi at 27 lbs. Second place went to Travis Clair for his 11 lb. Mahi and he won a $25.00 Gift Certificate. If you're not familiar; this Friday evening we will announce the tournament fish online and on VHF 72 Saturday morning. We look forward to seeing you in the shop! 'LMR Every Saturday Tournament Announcement': The tournament fish for tomorrow isWahoo! If your not familiar: 'Weigh your largest Wahoo before 7 P.M. at LMR Tackle . Because our tournament has rolled over twice, this means the prize has tripled to a $300.00 Gift Certificate for First Place & $25.00 Gift Certificate for Second! Winners will be called and posted on Monday.' Good Luck Anglers! • LMR Local Report • Dolphin have pushed father off shore to 20-23 miles, fish are 5 to 50 lbs. Blackfins have started to show up in 300'-400' in the afternoons.